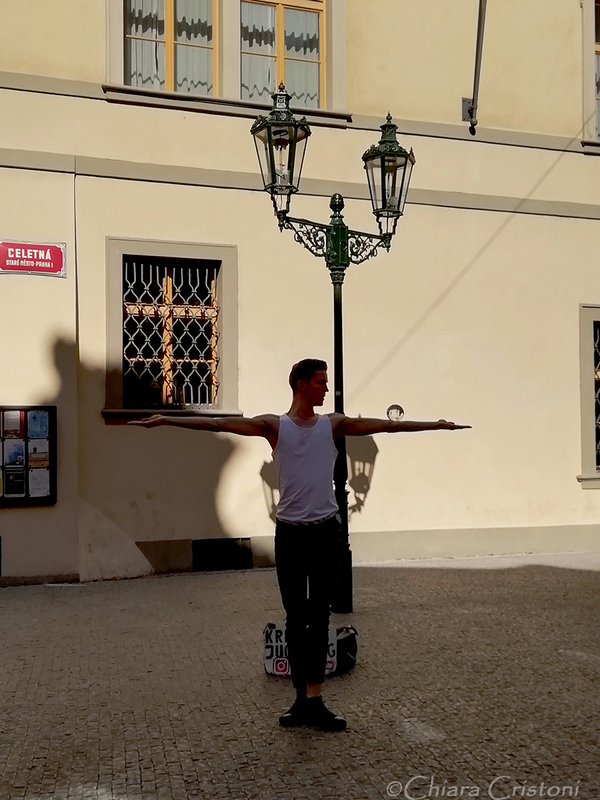 And now a bit of practical information about Prague! 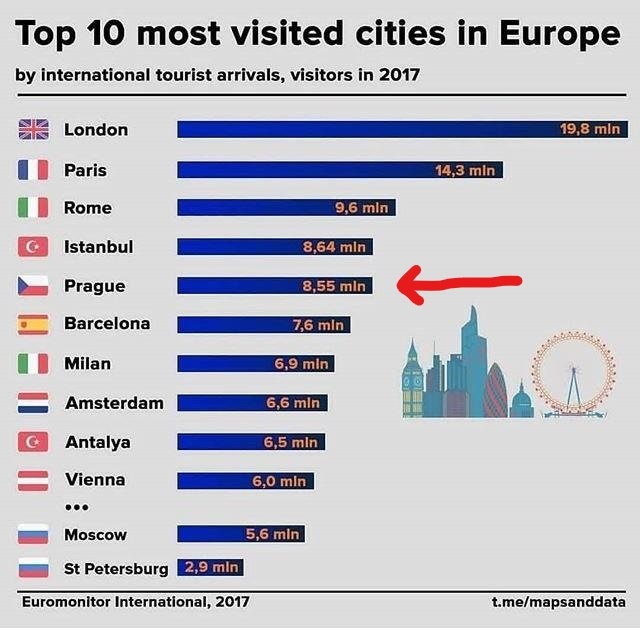 Getting to Prague from anywhere in Europe is easy. The city is well connected by air with most large European cities and cheap flights are widely available. 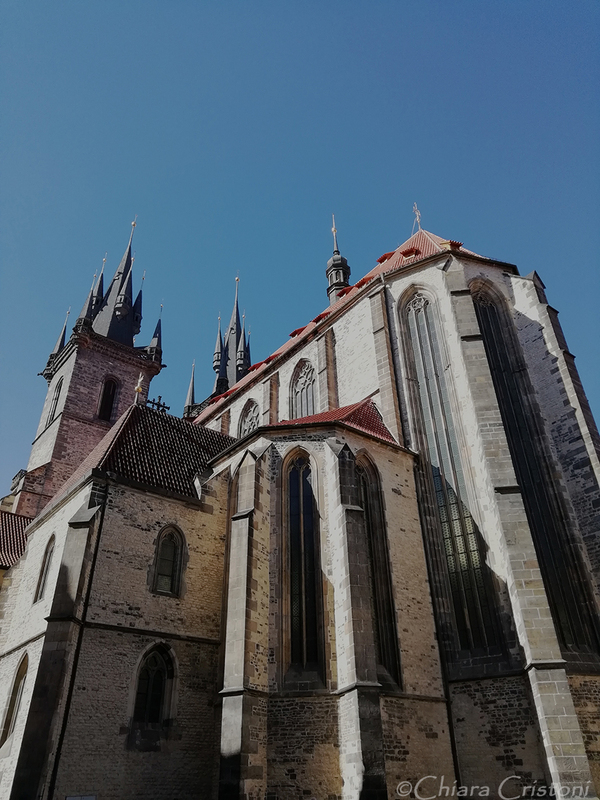 Once you land at Václav Havel International Airport, the cheapest way to town is bus 119 to the metro stop of Nádraží Veleslavín, from where you can catch Metro A (various stops in the Old Town). 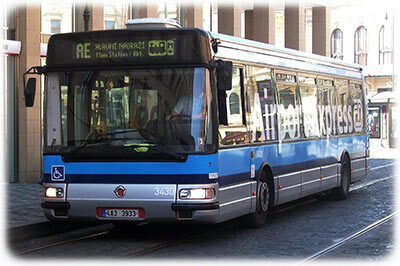 32Kč is the cost of the ticket, a standard 1.5hr public transport ticket. 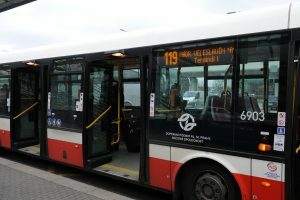 Another option, a bit more pricey (60Kč) and not any faster, is the Airport Express Bus to the main train station (Hlavní nádraží). From here you can catch the Metro or buses to anywhere in the city. 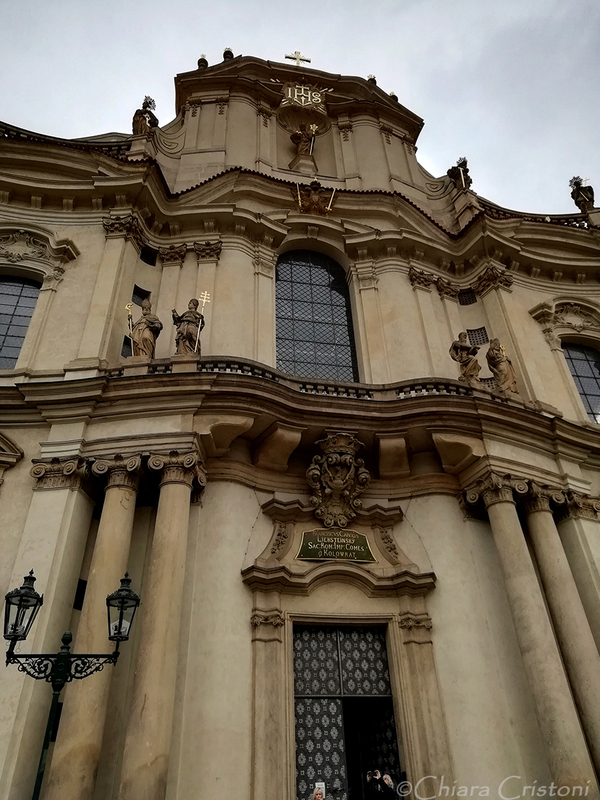 Moving around Prague: I’d recommend exploring on foot. 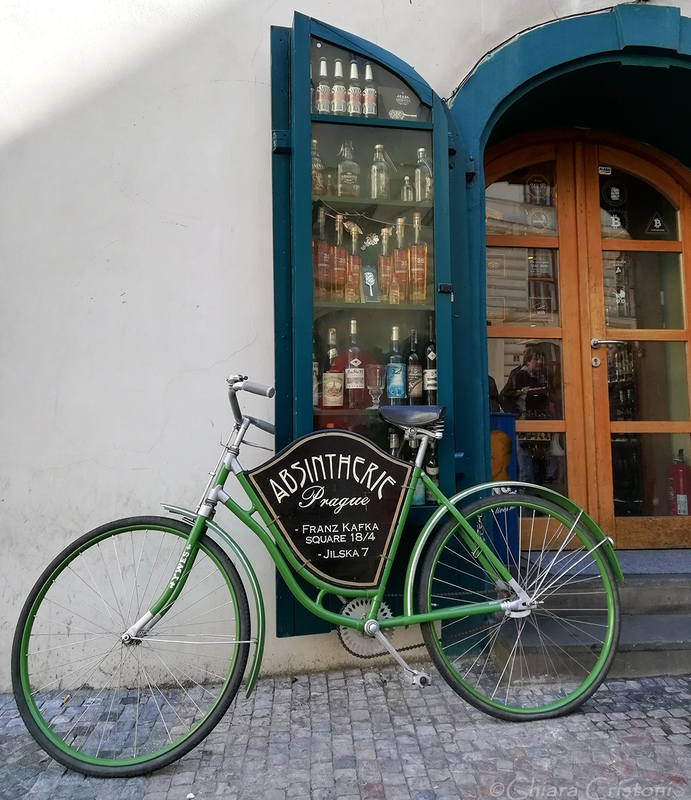 Most tourist attractions are within walking distance and this is always the best way to explore a new place! 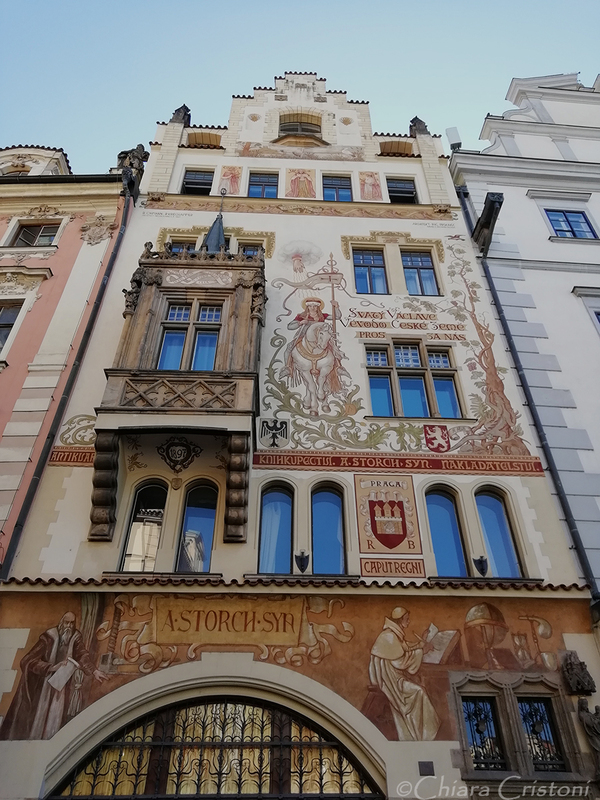 Where to stay: I stayed in a hostel 5 minutes away from the Old Town Square. 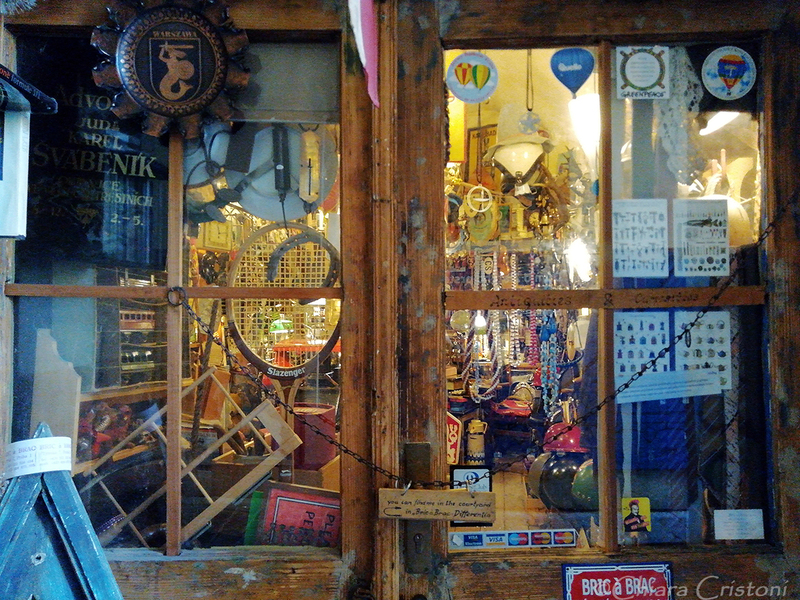 It’s the most touristic area and even though I usually prefer quieter areas, being so central was very convenient. And I loved going for a stroll to the main square in the evening! But there are many more options available, from budget accommodation to luxury hotels. Check out TripAdvisor or Booking.com for some good deals. 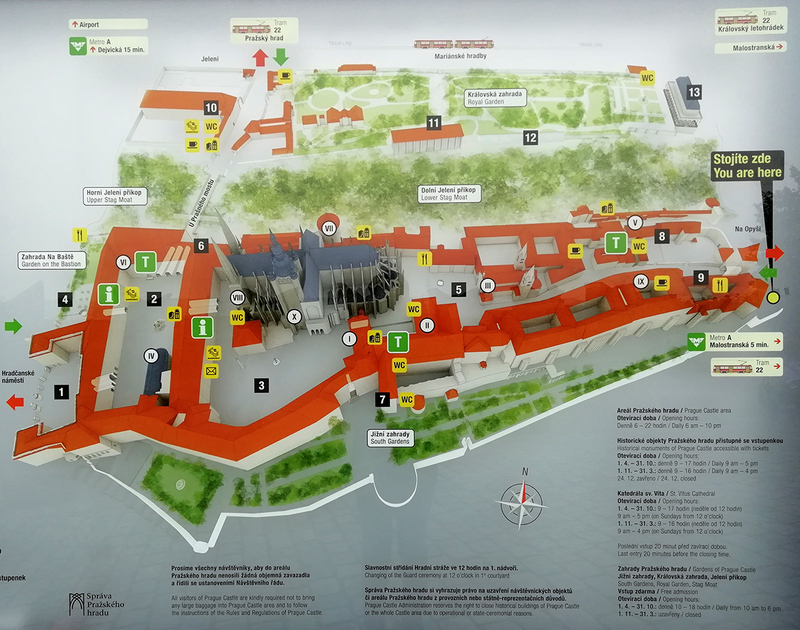 Tourist Information Centre: The main one is located in the Old Town Hall and is open 365 days a year. More details available here. 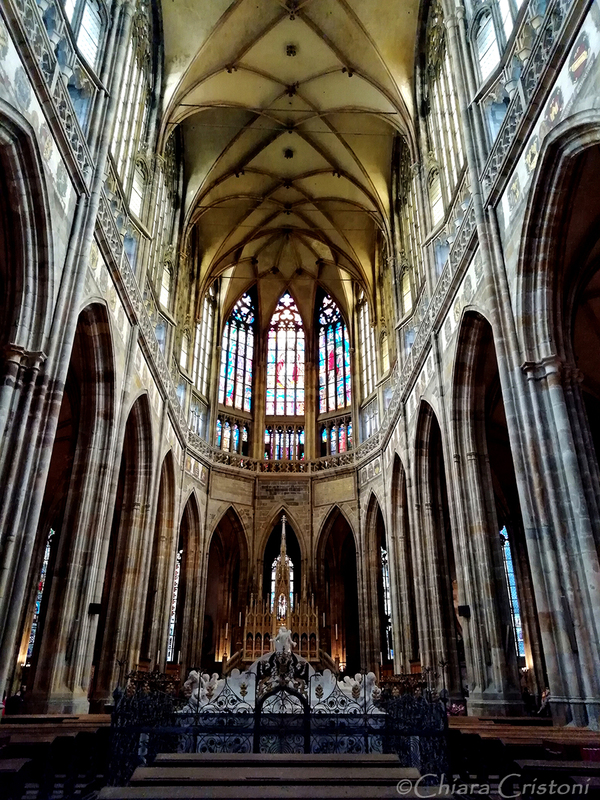 Currency: The Czech Republic is not in the Euro-zone, instead the Czech koruna (Kč) is used. 1 Euro will get you around 25 Kč, you can check current exchange rate here. 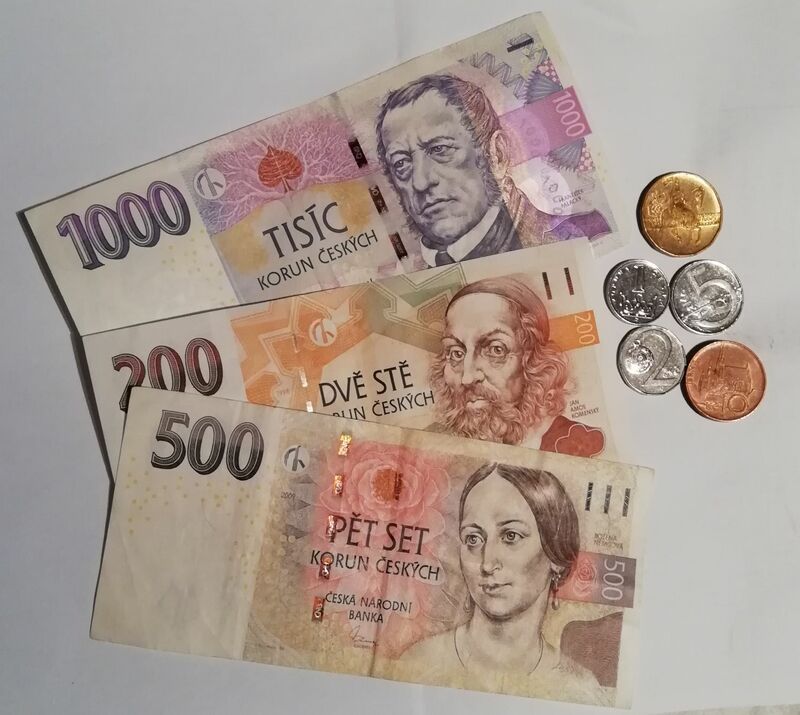 Many restaurants and hotels may accept Euros but the change will always be in Czech koruna. Language: If you don’t understand a word of any Slavic language (like me), don’t worry! 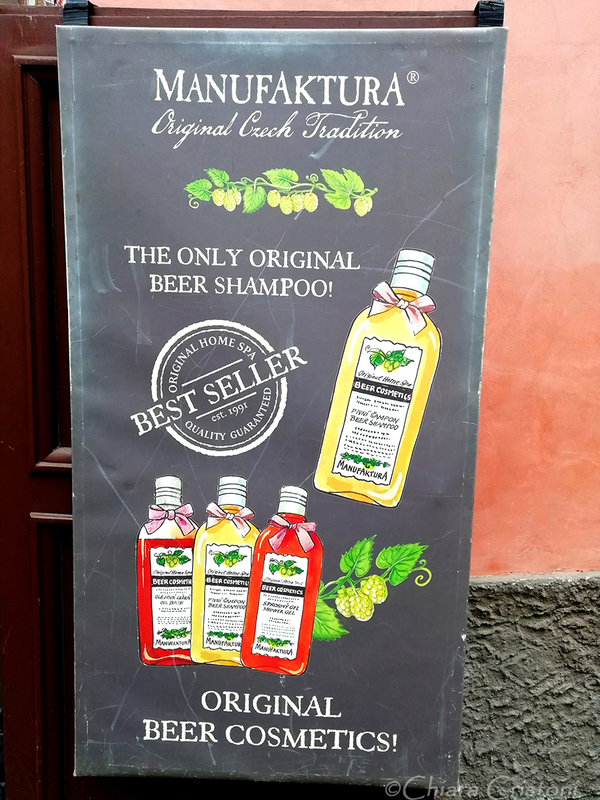 English is widely spoken/understood in Prague. 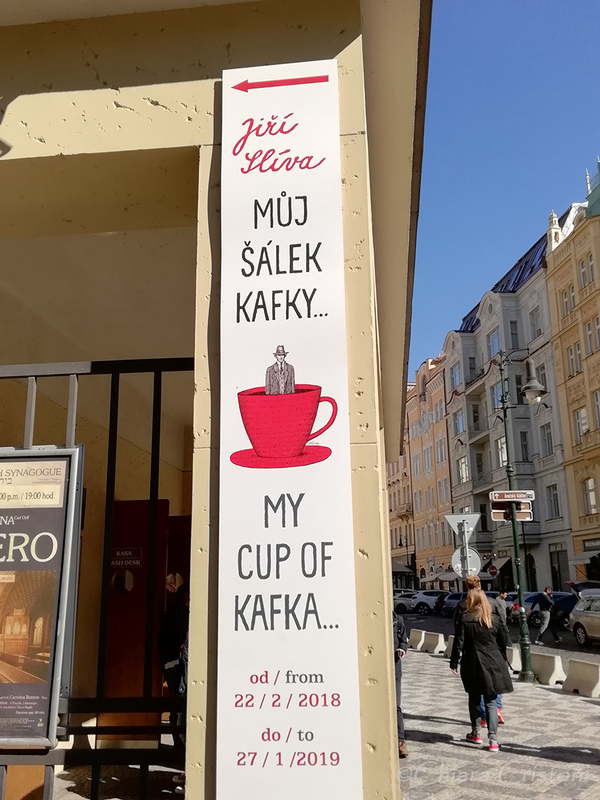 But learning a couple of words of Czech won’t hurt. 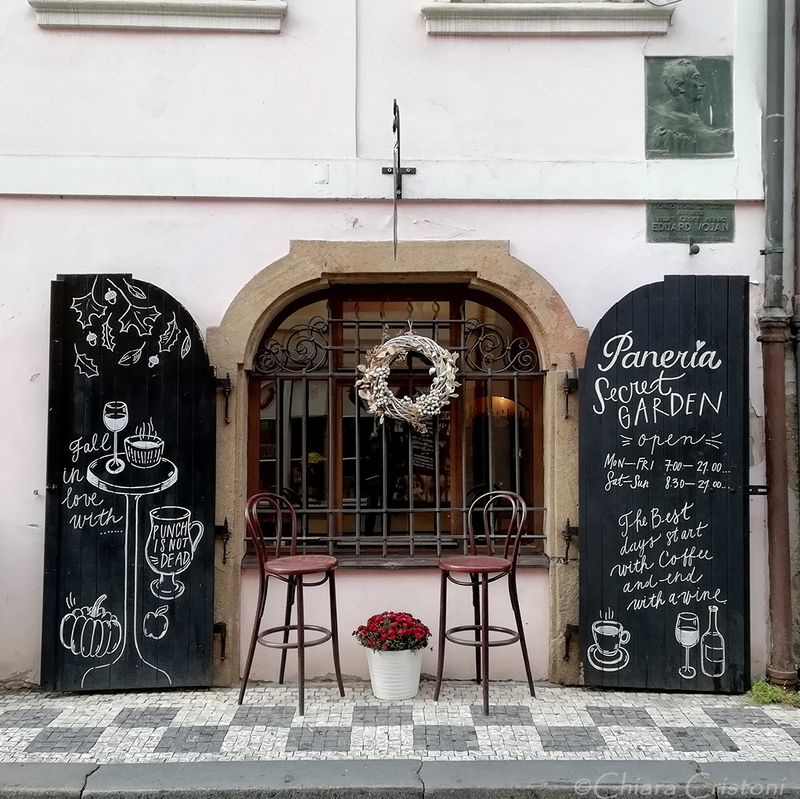 I found eating out in Prague very cheap (250-500 Kc per meal, often including dessert and a soft drink) and I really enjoyed trying a few different restaurants with traditional Czech food. Most Czech dishes are very meat-based and contain also dumplings, with some added cabbage here and there. Probably not the lightest meals but very tasty! 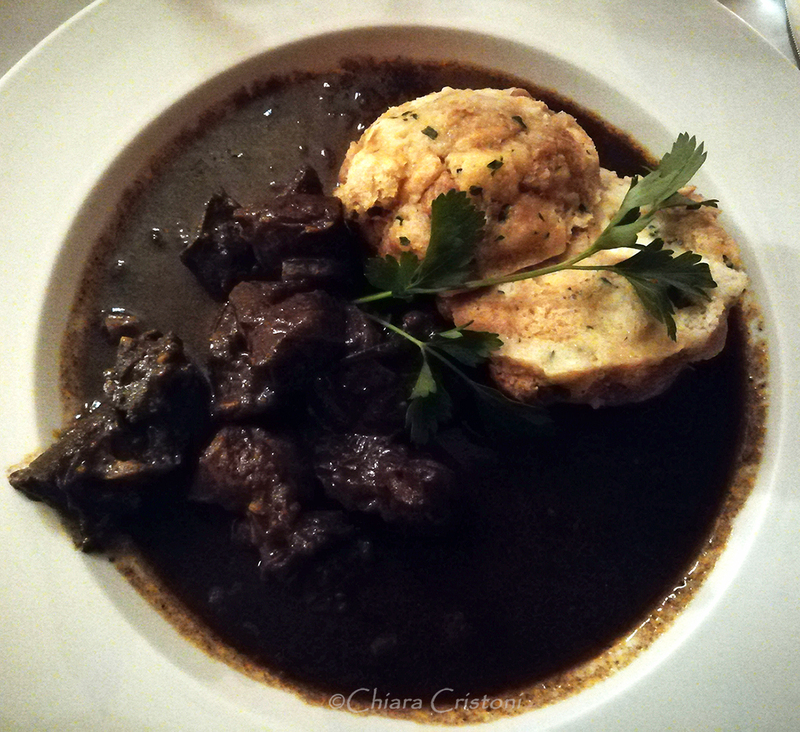 My meat feast over the long weekend started with a delicious venison guláš, served alongside with bread dumplings. 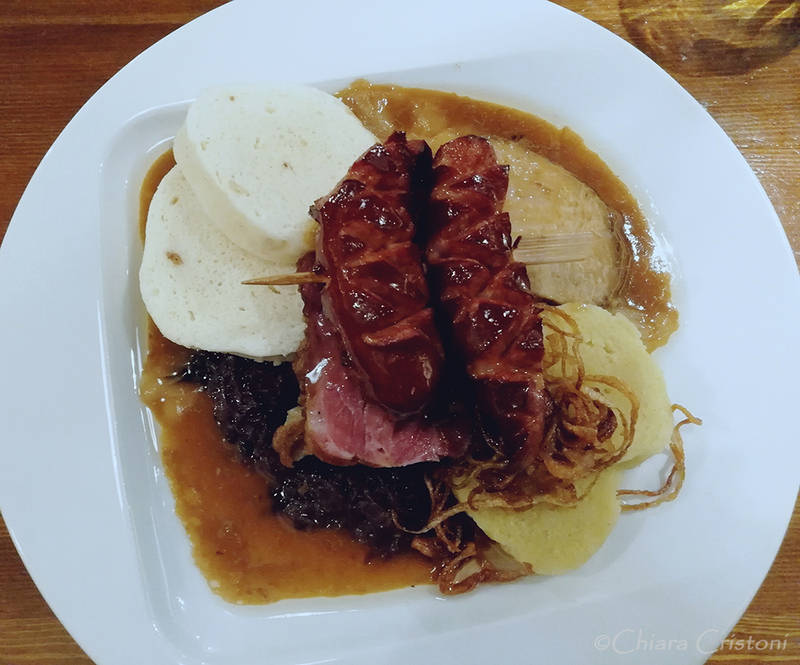 The following day I tried a “farmer’s plate” with pork meat, grilled sausages (grilované klobásy), bread dumplings, potato dumplings, cabbage and gravy. 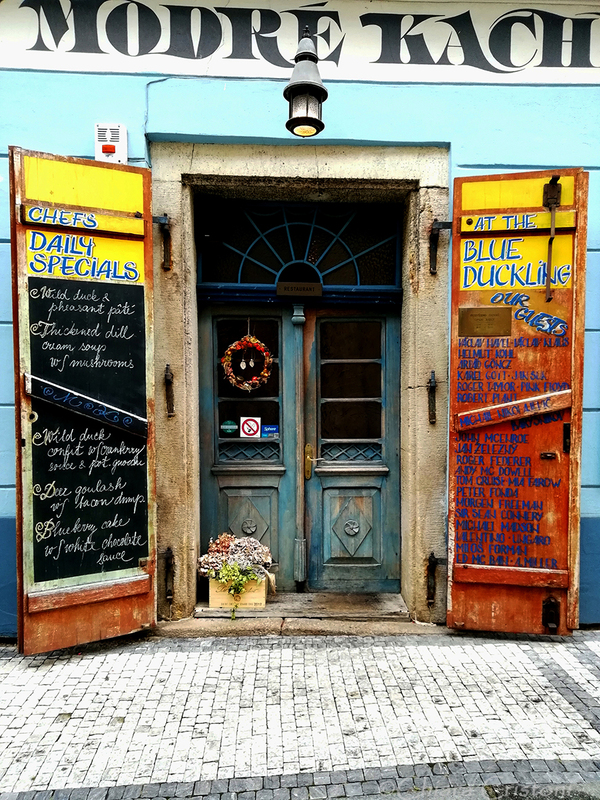 It was then time for a basic beef guláš in a cheap cafe’, and on my final day some roast duck with dumplings and cabbage. 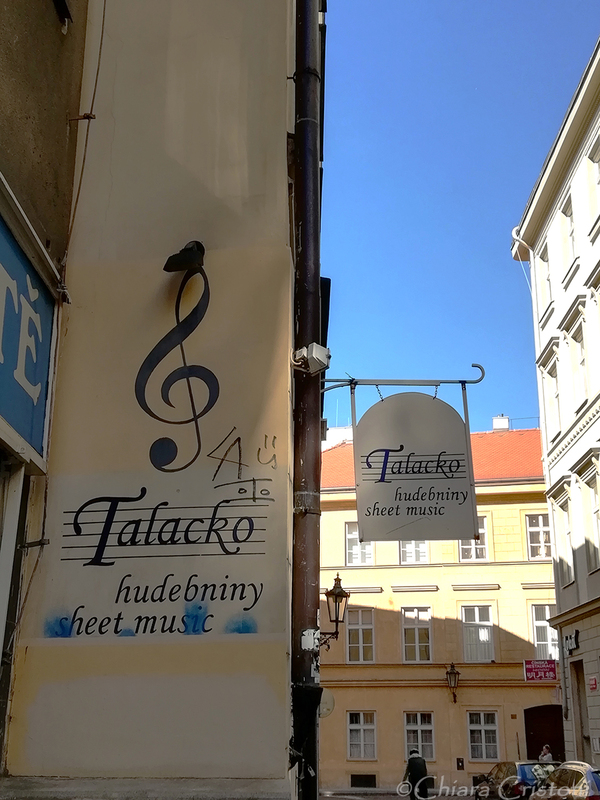 All food was really good but I particularly enjoyed the venison guláš and the all-pork dish. And for dessert? 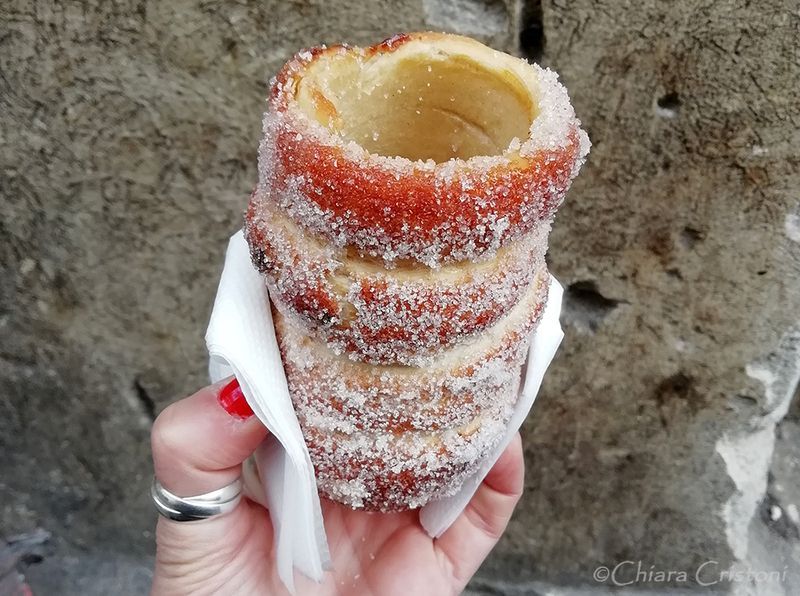 I recommend trying the trdelník, a traditional rolled pastry coated in sugar and sold in street stalls around Prague. 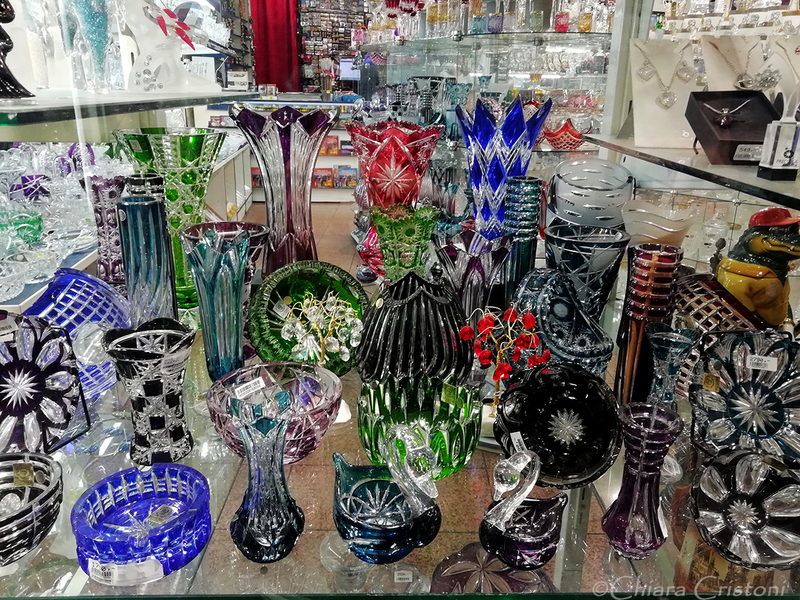 But don’t fall for the tourist varieties filled with all sorts of sweet things, from chocolate to ice cream: the classic version, empty inside, is the best one! 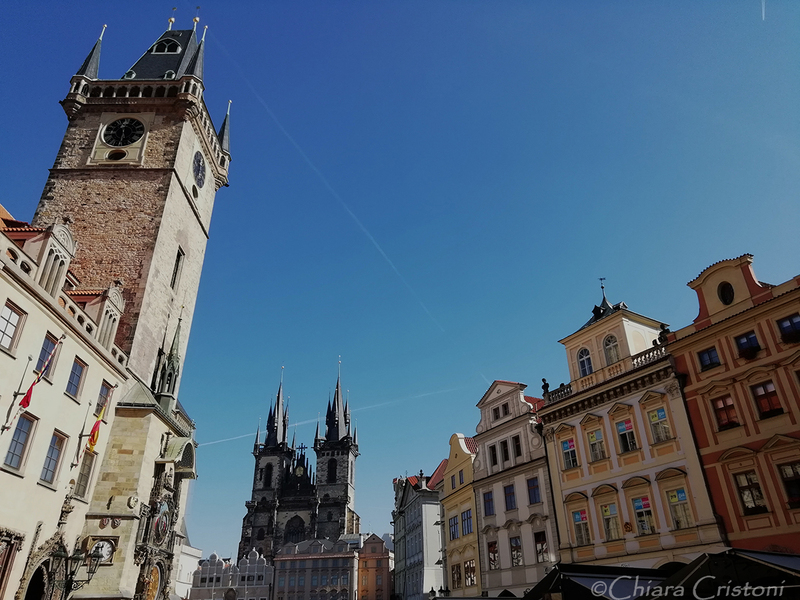 As you walk across the 14th-century Charles Bridge, one of the most beautiful bridges in Europe and a landmark of Prague, the castle complex and mainly the two towers of St. Vitus Cathedral will catch your attention. 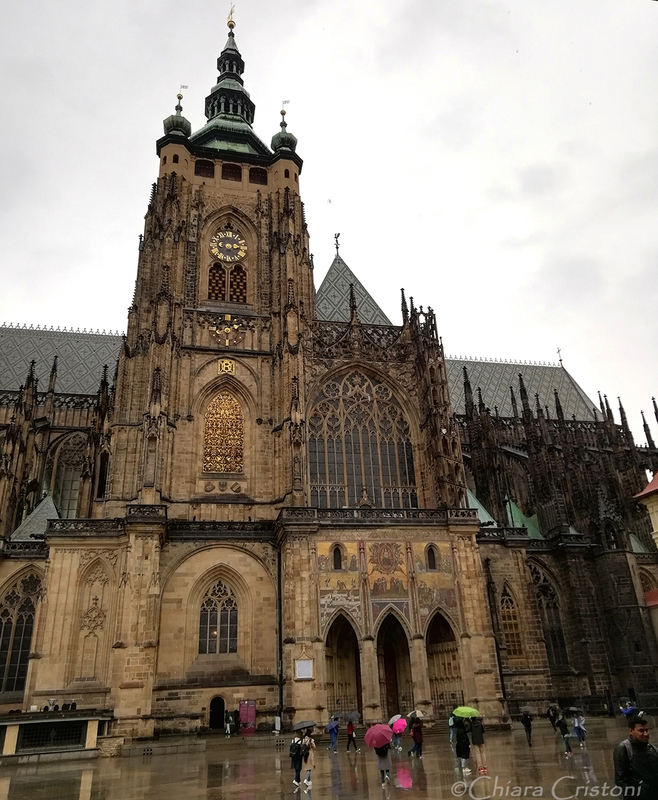 Prague castle: The largest ancient castle in the world, you can easily spend half day exploring this complex, made of several buildings. 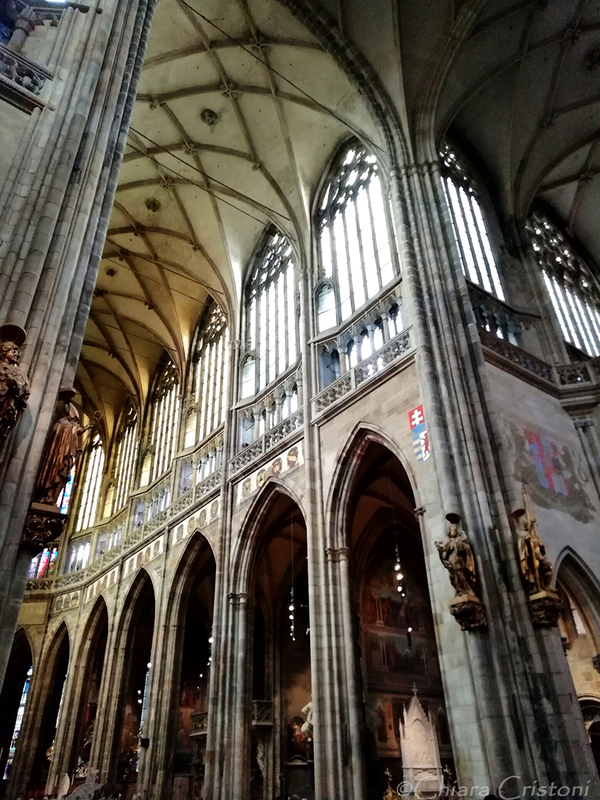 The Gothic St. Vitus Cathedral, the largest and most important church in the country, is stunningly beautiful. 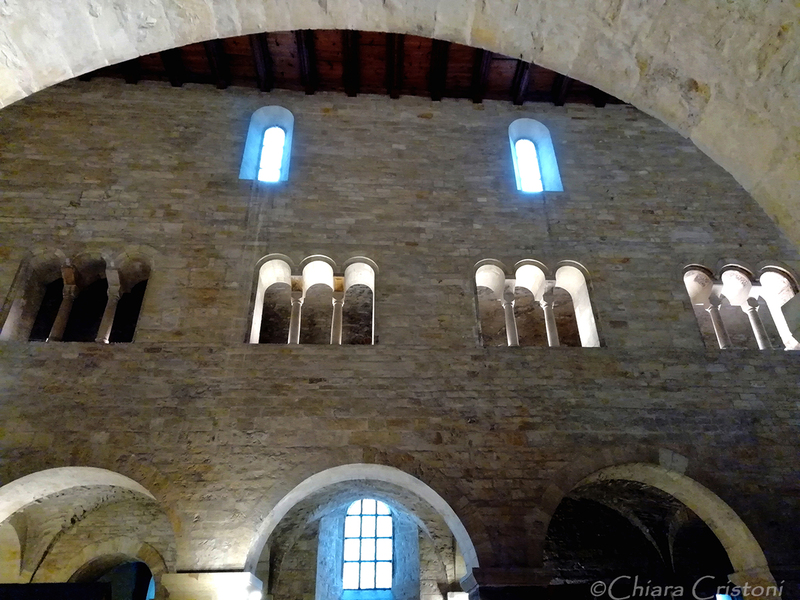 I could have stayed in for hours admiring the stained glass windows and the lines of the vaults. 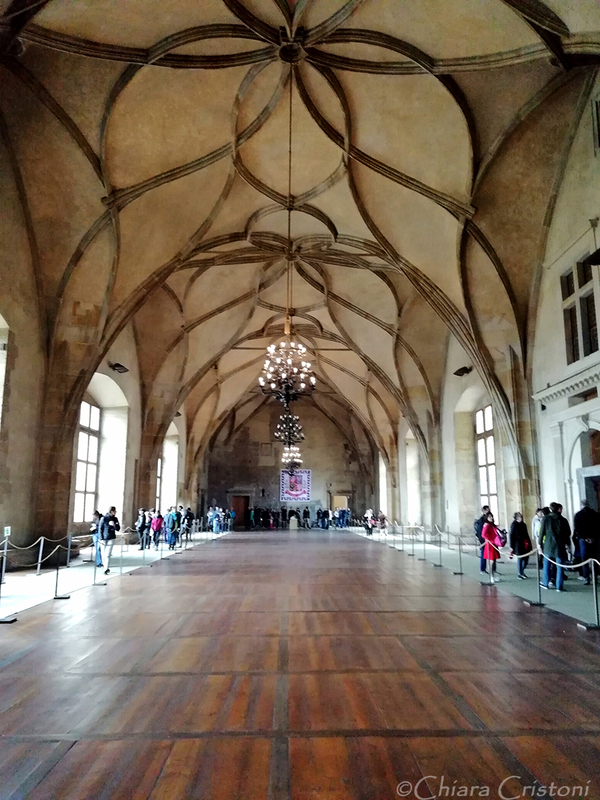 I then wandered into the Old Royal Palace, with its multitude of diverse rooms, and the Basilica of St.George, the oldest surviving church building in the castle complex. 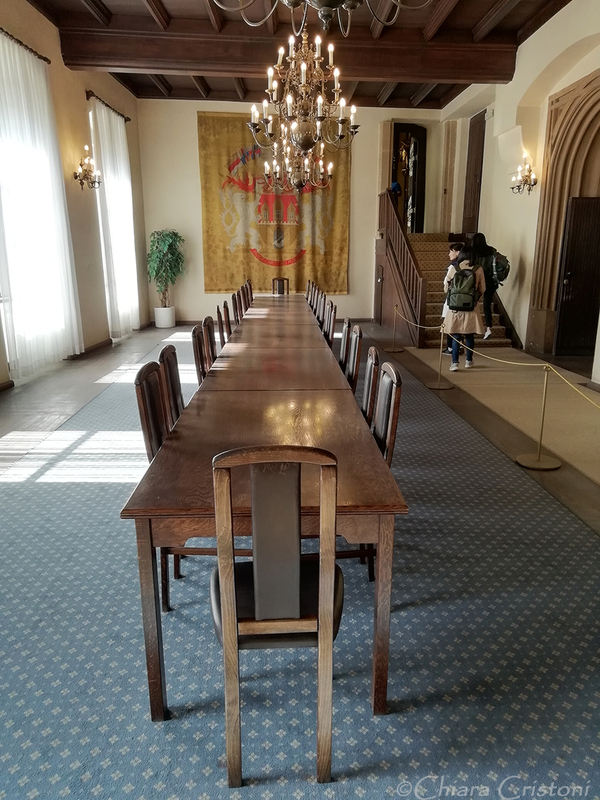 The Story of Prague Castle permanent exhibition has a very interesting collection of items related to the history of the castle, as well as photographs and informative panels. 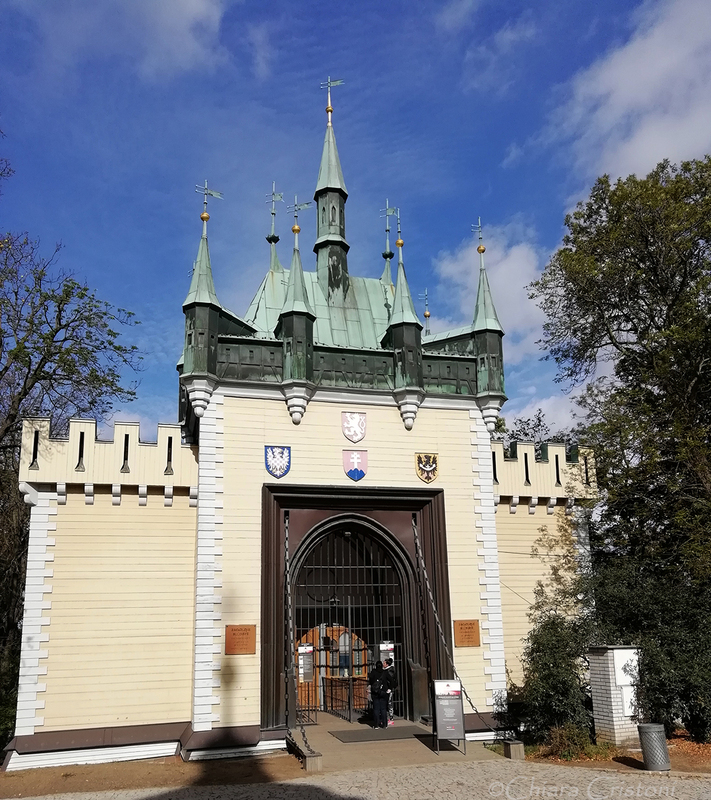 The last section included in the full tourist ticket for the castle complex (ticket A, 350 Kč) is Golden Lane, a street originally built in the 16th century and whose houses are now mainly souvenir shops. 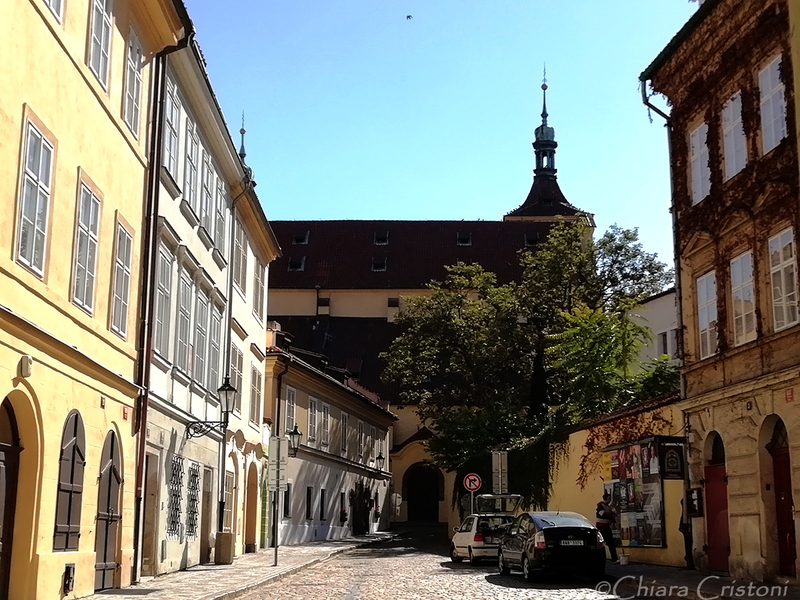 The district south of the castle is called Malá Strana (usually translated as Lesser Town) and is characterised by baroque buildings and colourful shops. 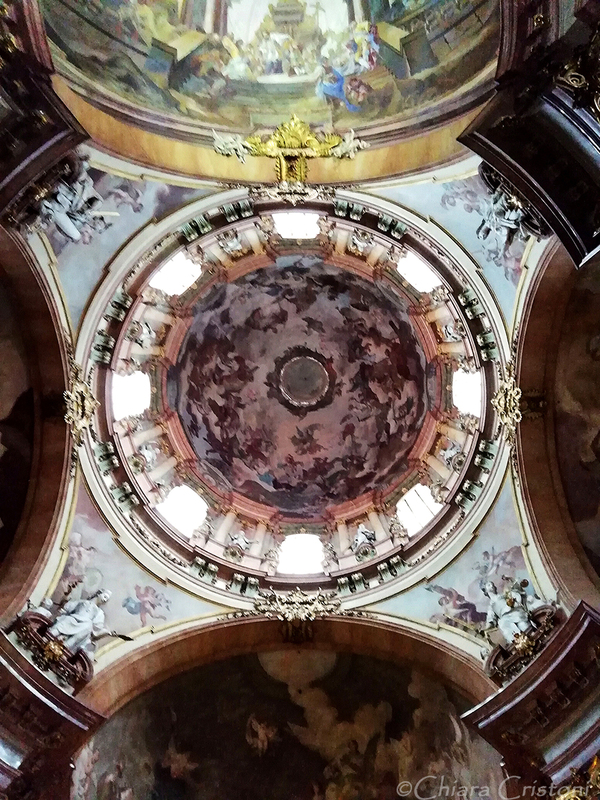 One of the most beautiful sights in Malá Strana is St.Nicholas Church, with its distinctive dome. 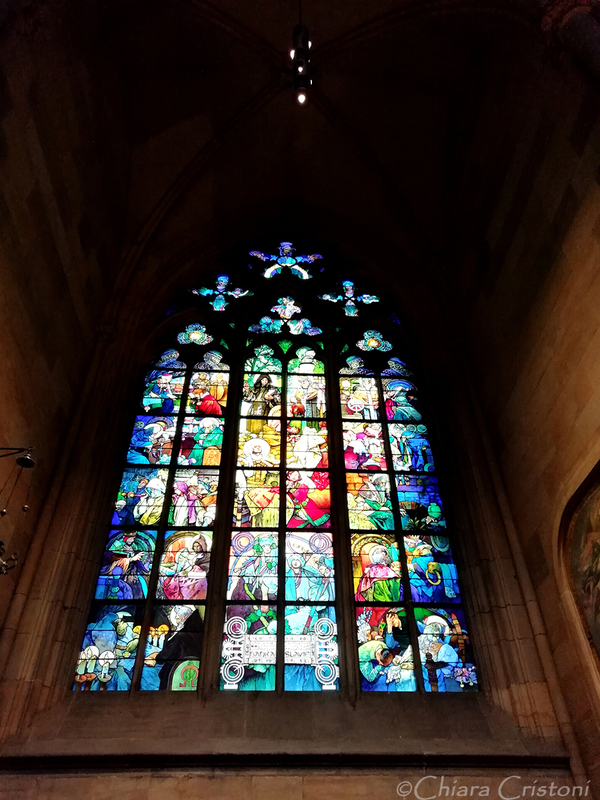 Built between 1704-1755, this church features beautiful stained glasses and frescoes. 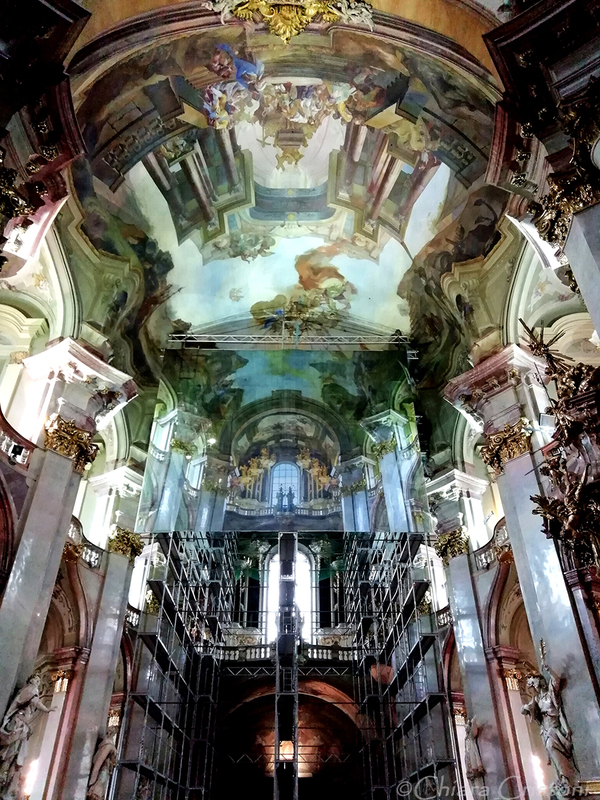 The main fresco is currently under restoration but the church is definitely worth a visit. 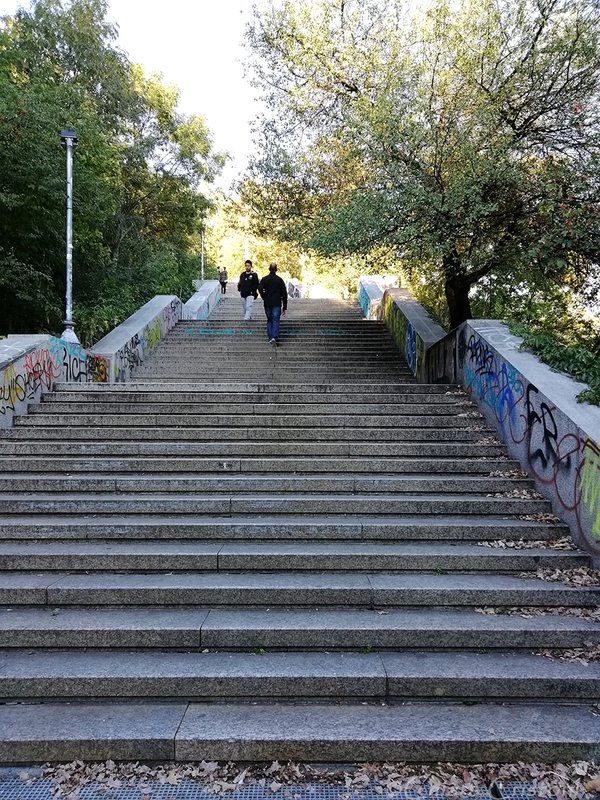 Petřín hill: Covered in parks, it is a nice place to relax. 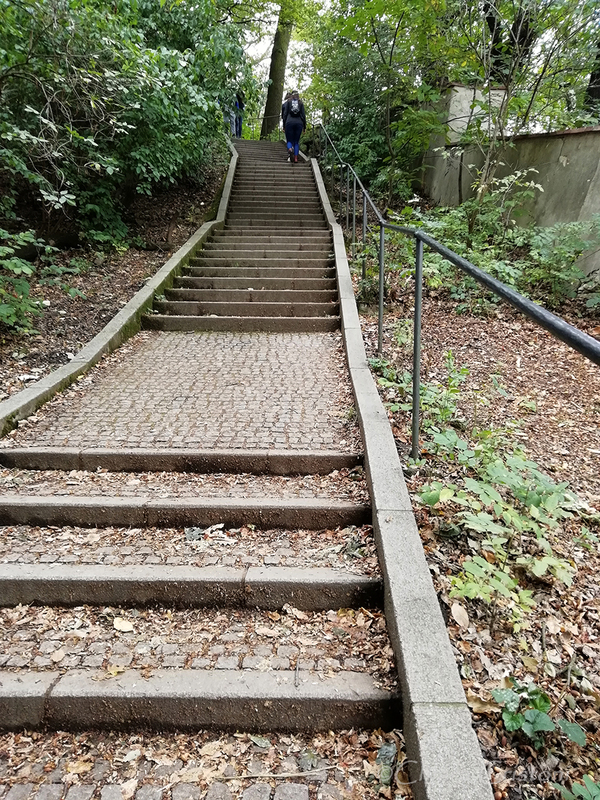 You can reach the top via a funicular railway or, as I did, you can walk up the hill using the various paths and stairs. 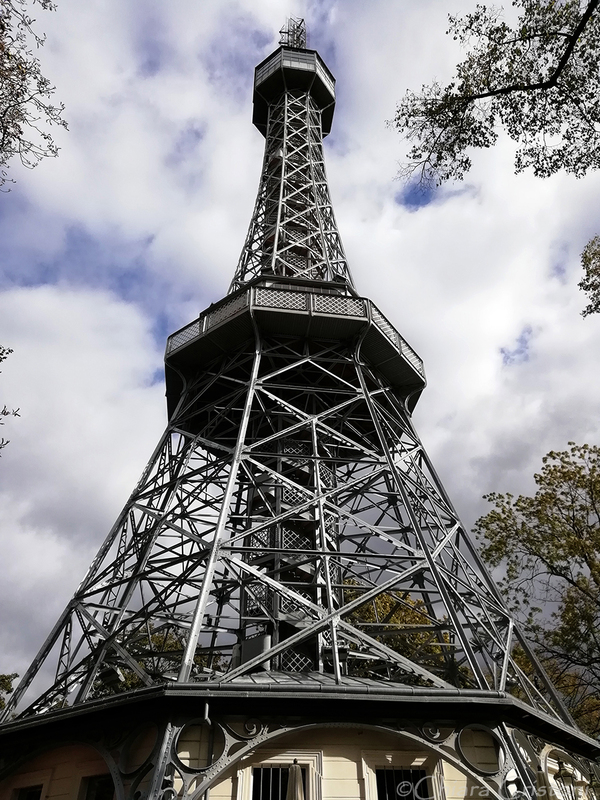 The Petřín lookout tower at the top of the hill is a 63.5-metre-tall steel-framework tower built in 1891 and resembling the Eiffel tower. Initially used as an observation tower as well as a transmission tower, it is now a tourist attraction. 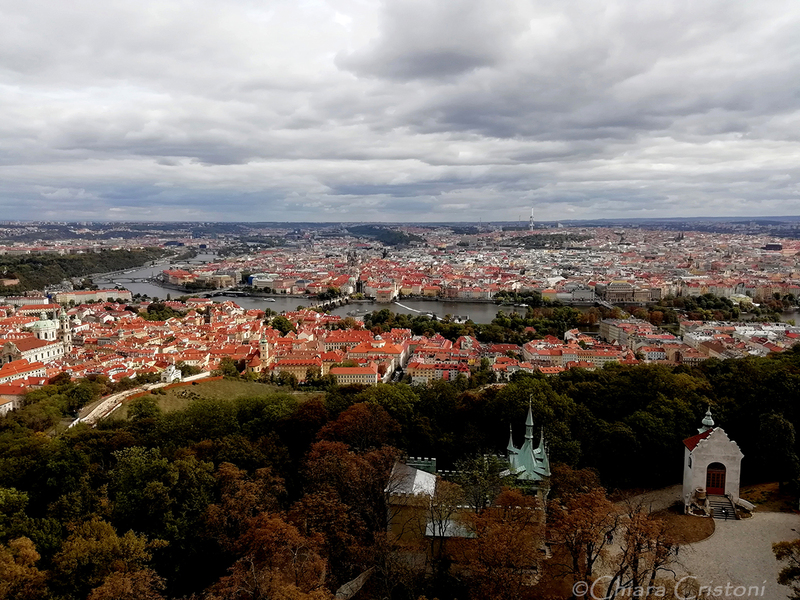 You can easily climb its 299 steps to the top for a 360-degree view over Prague. 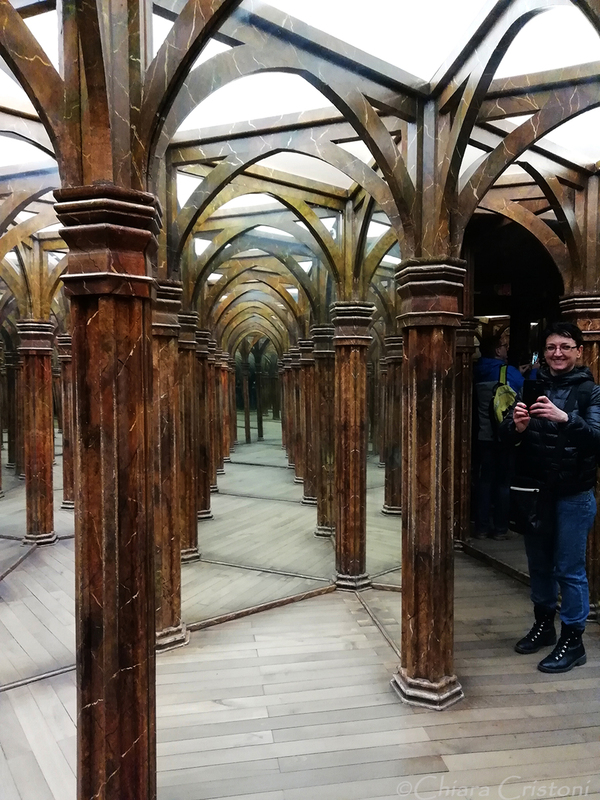 Next to the tower don’t miss a visit to the Mirror Maze for a bit of entertainment: the mirror images can be quite funny! 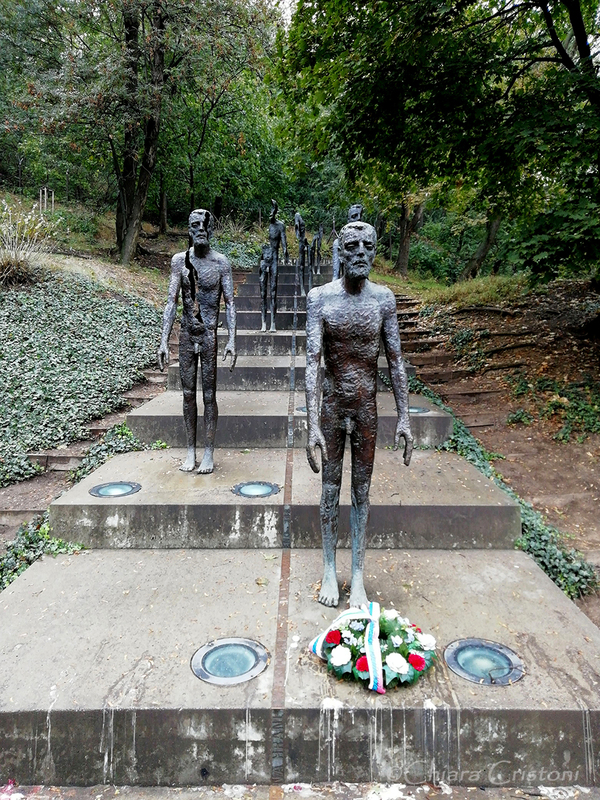 At the base of Petřín hill is the Memorial to the victims of Communism, a group of seven bronze statues that commemorates the victims of the communist era 1948-1989. 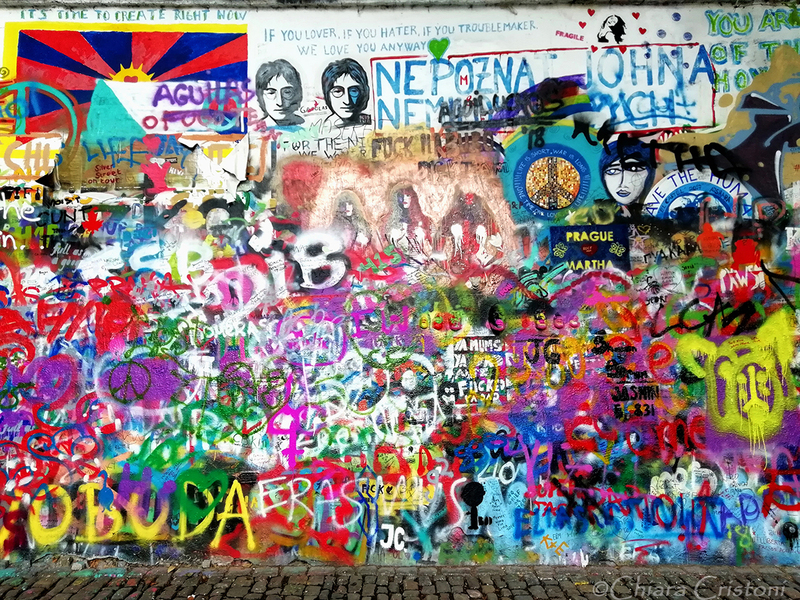 A few minutes away is the so-called John Lennon wall: supposedly a tribute to John Lennon, this wall covered in colourful graffiti and writings mainly from fans has little artistic quality and there are much better graffiti elsewhere in Prague (and in many other cities). Worth checking out if you want to tick the box, but not much else. 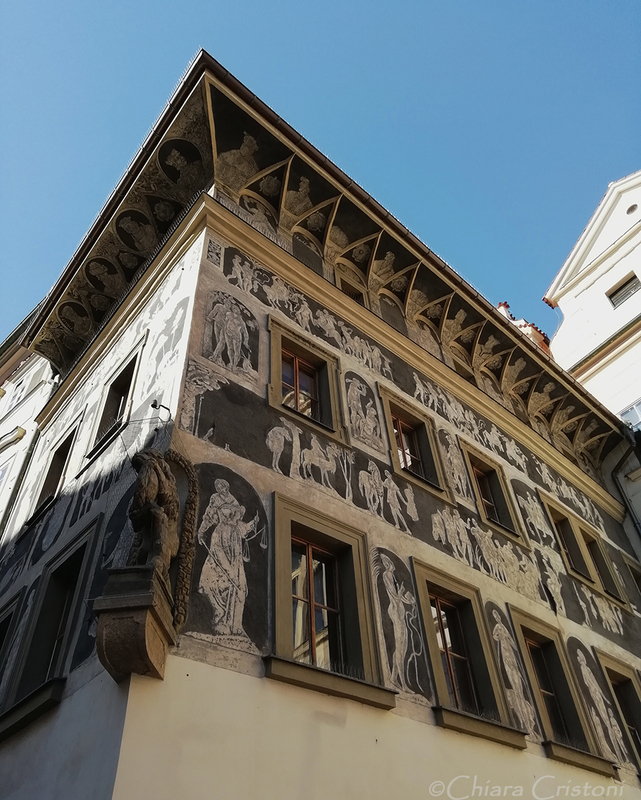 Elsewhere in Malá Strana…a much better graffiti! 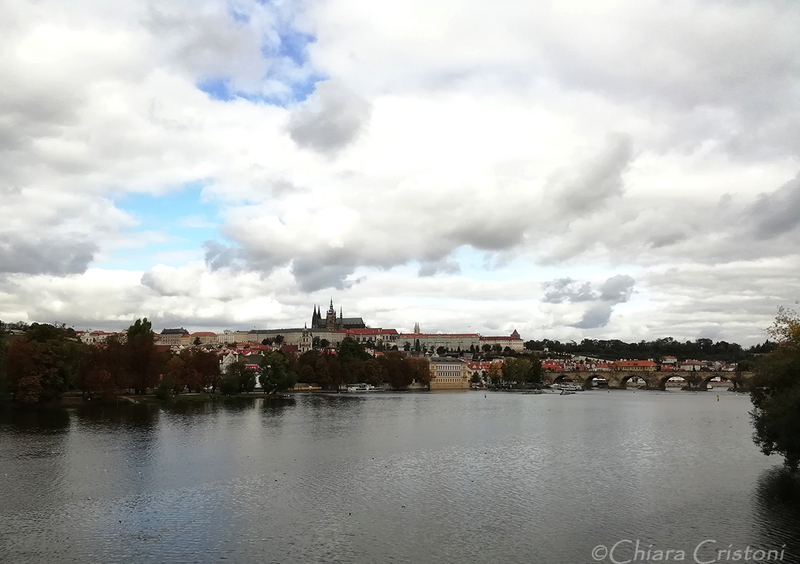 You can then return to Staré Město crossing the Legion’s bridge (most Legií) for more views of Charles Bridge and the Castle from the distance. 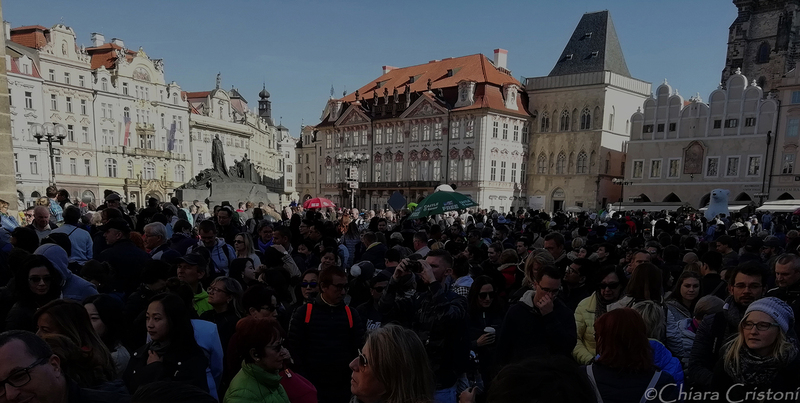 If you don’t like crowds, you may want to visit the Old Town in Prague early in the morning. 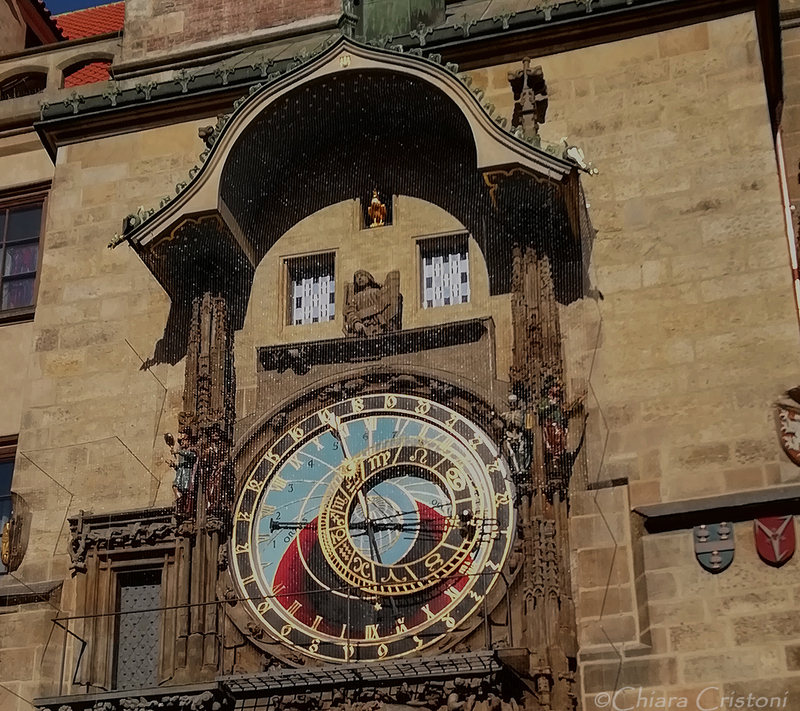 At any other time you may have to wade through the masses and even elbow your way out in the area by the astronomical clock. 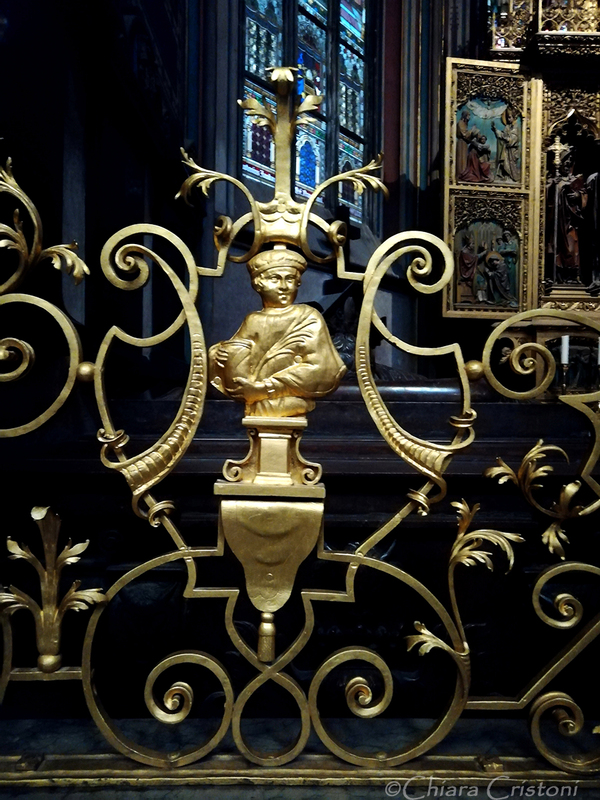 But don’t let this put you off! 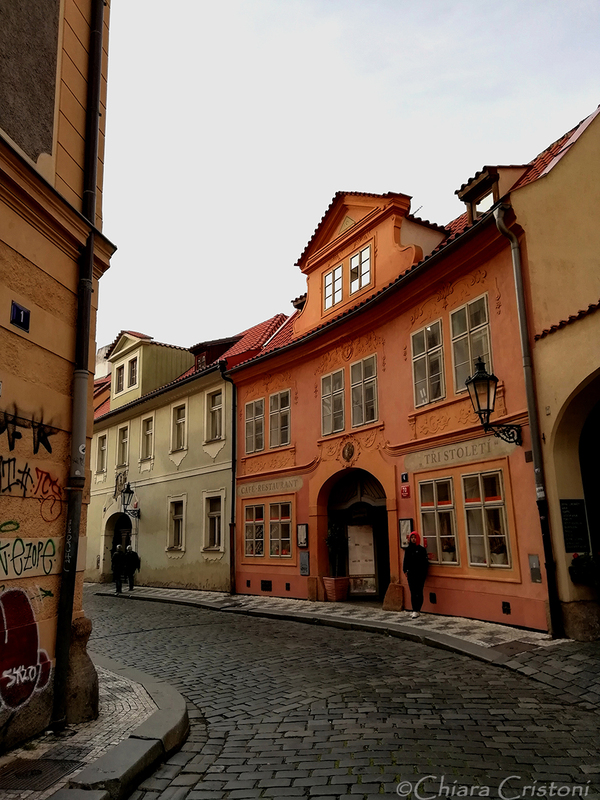 The Old Town (Staré Město in Czech) is beautiful and you will want to spend some time exploring it. 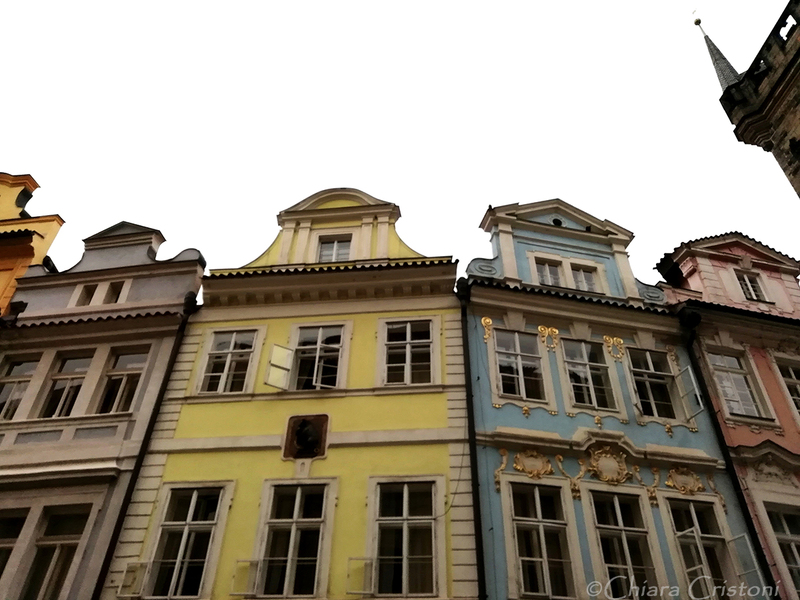 The Old Town Square, the centre of the Old Town, is surrounded by beautiful and colourful buildings. 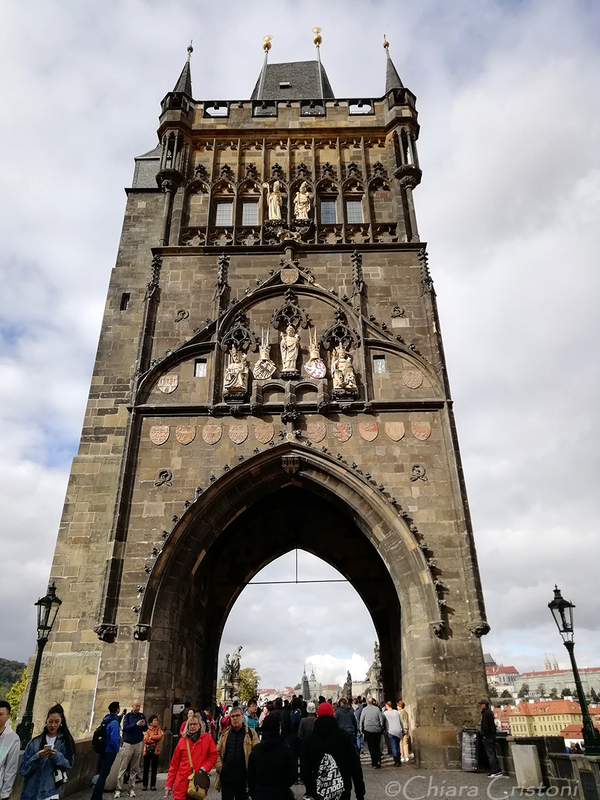 The towers of the Church of Mother of God before Týn (or Týn Church) dominate from every angle and are probably the most distinctive feature of the square. 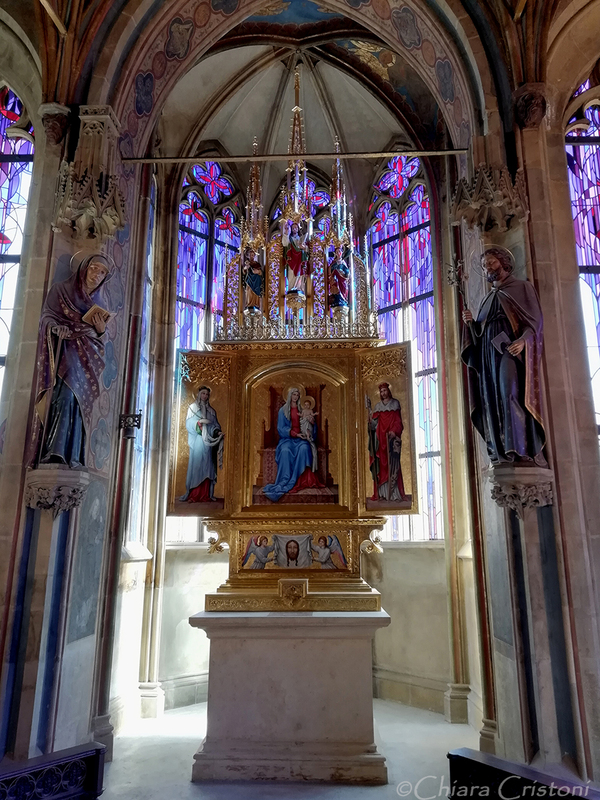 This Gothic church dating back to the 14th century is open to the public a few days a week but unfortunately I missed my opportunity to visit inside. 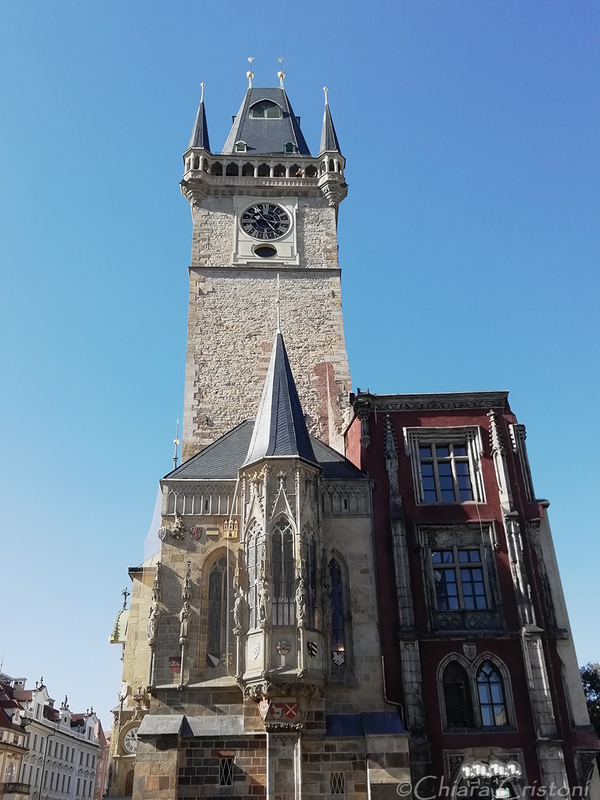 The Old Town Hall was established in 1338 as Prague’s oldest town hall. 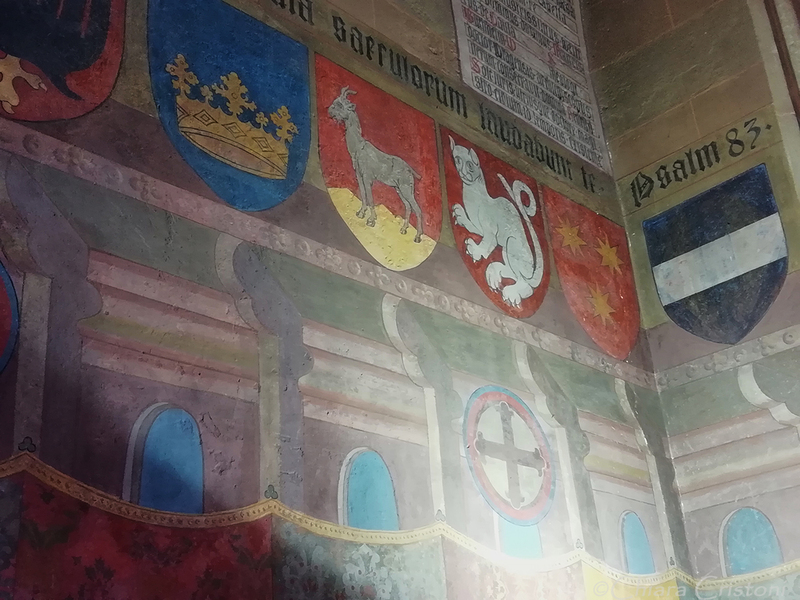 Throughout the centuries it was extended to include several buildings, only five of which now remain. 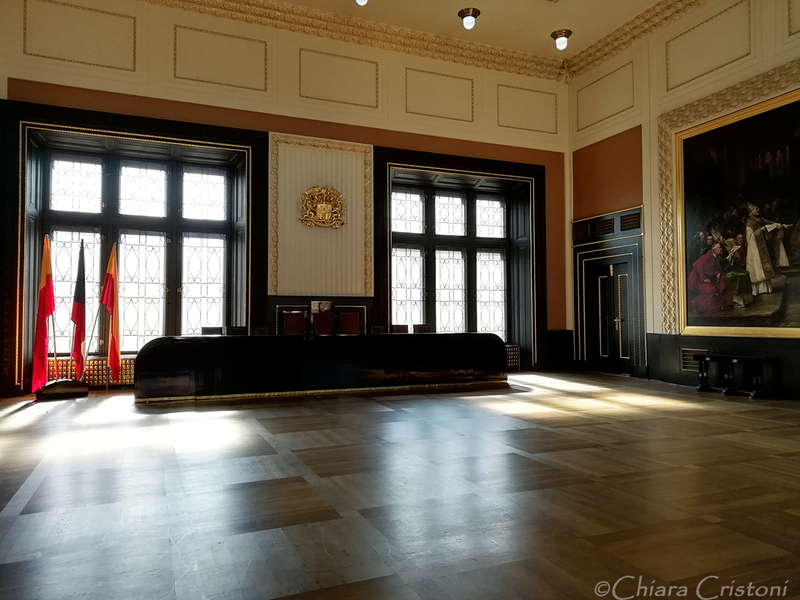 At present, the Old Town Hall is primarily used for ceremonies and state events held by the City of Prague. 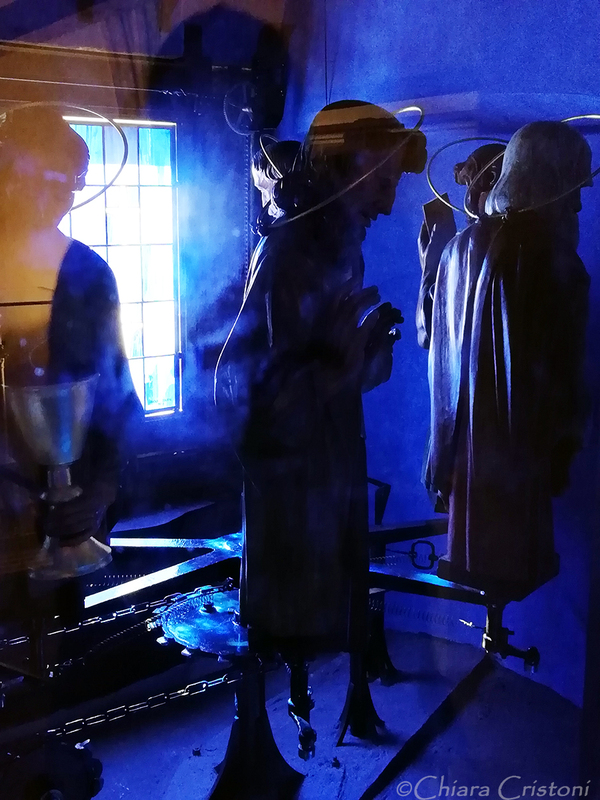 A curiosity: the Chapel of the Virgin Mary enables visitors to view the Prague’s astronomical clock’s inner workings. 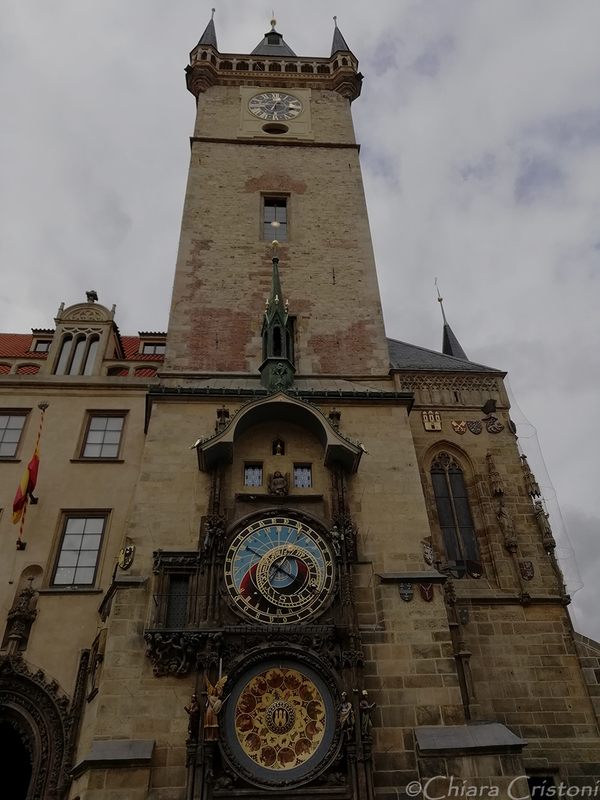 The astronomical clock: after several months of major repairs, the 608-year old clock returned to its place in the Old Town Square the weekend I visited Prague! 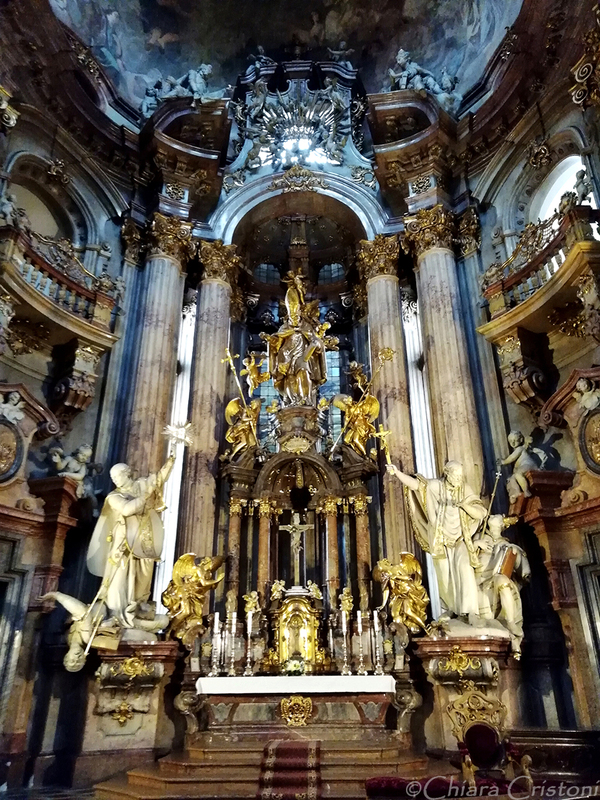 Here tourists gather in masses especially on the hour, when the four figures flanking the clock and the ones above the clock are set in motion. 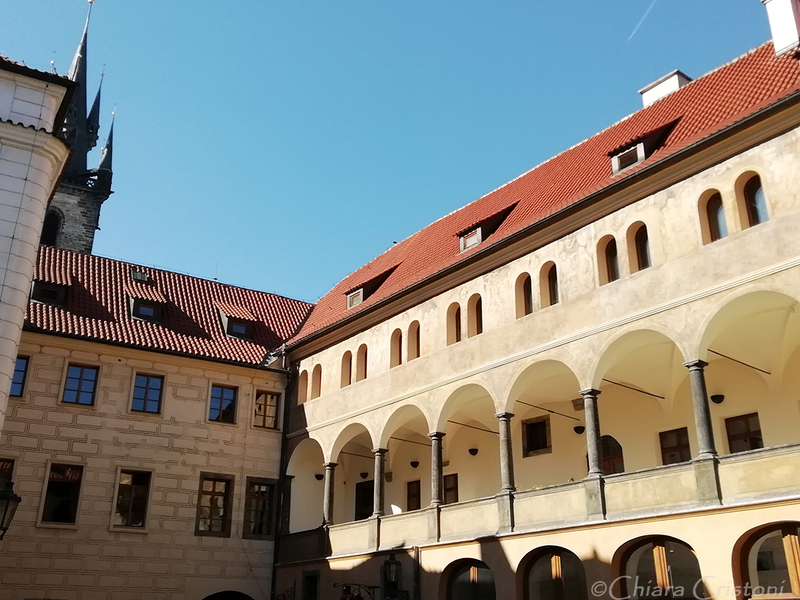 Franz Kafka’s landmarks: Franz Kafka (1883-1924), one of the major figures in the 20th-century literature, was born in Prague’s Old Town and lived there most of his life. So it is not surprising to see reminders of his life and work all around the city! 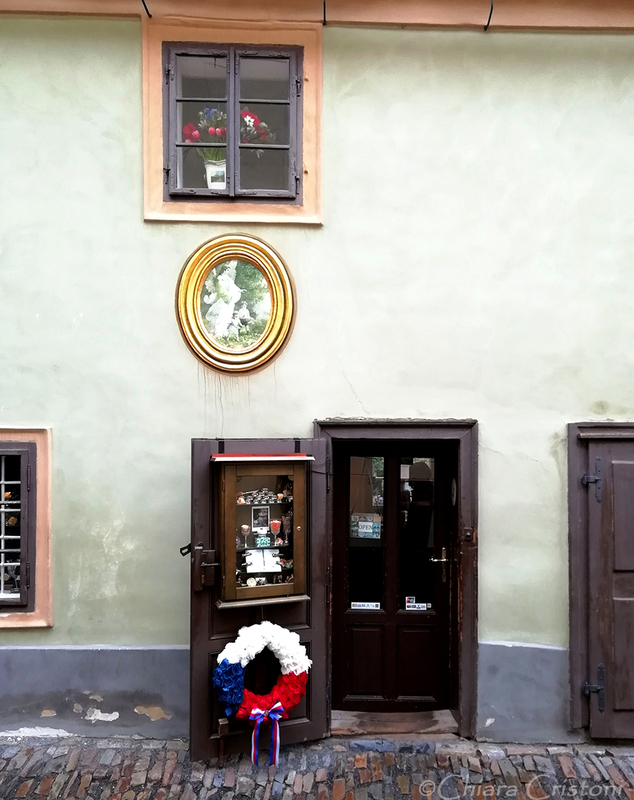 Kafka’s birthplace is at náměstí Franze Kafky 3, just off the Old Town Square. 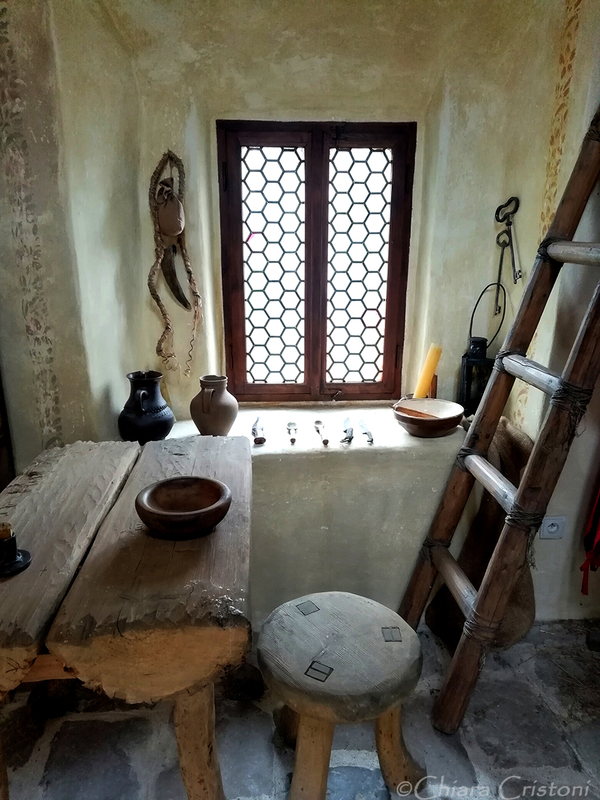 The house has a small exhibition about the writer. 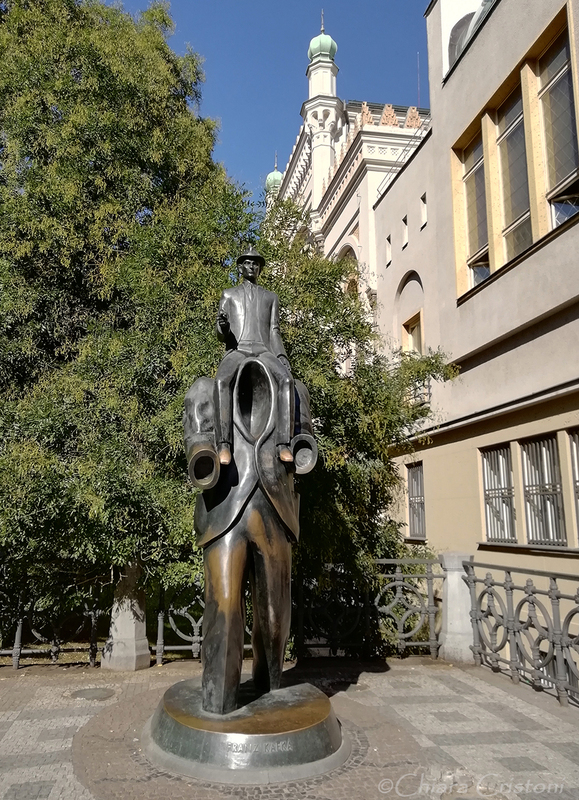 The city’s official monument to Kafka is a sculpture located in the Jewish quarter and representing a large, headless man carrying a small man (Kafka) on his shoulders. 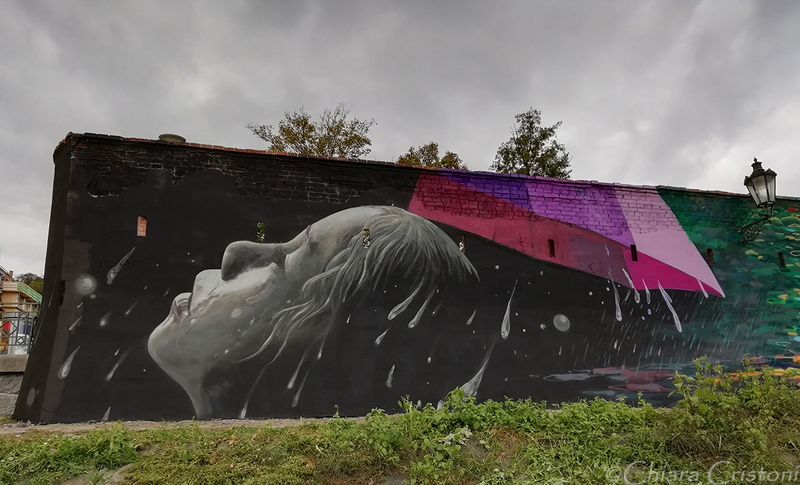 If you want to track down more of this writer’s landmarks, read this article. 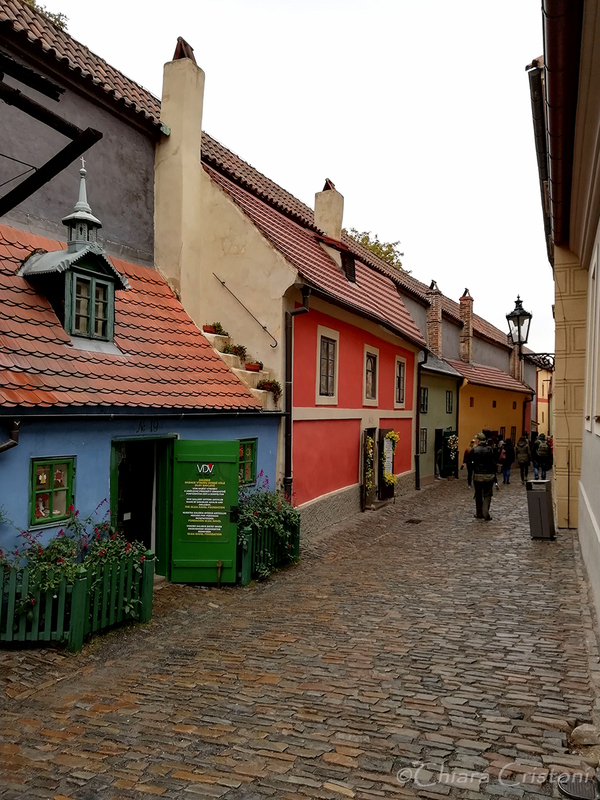 My favourite part was exploring the Old Town cobblestone streets, wandering down narrow alleys to see where they led and what was there. 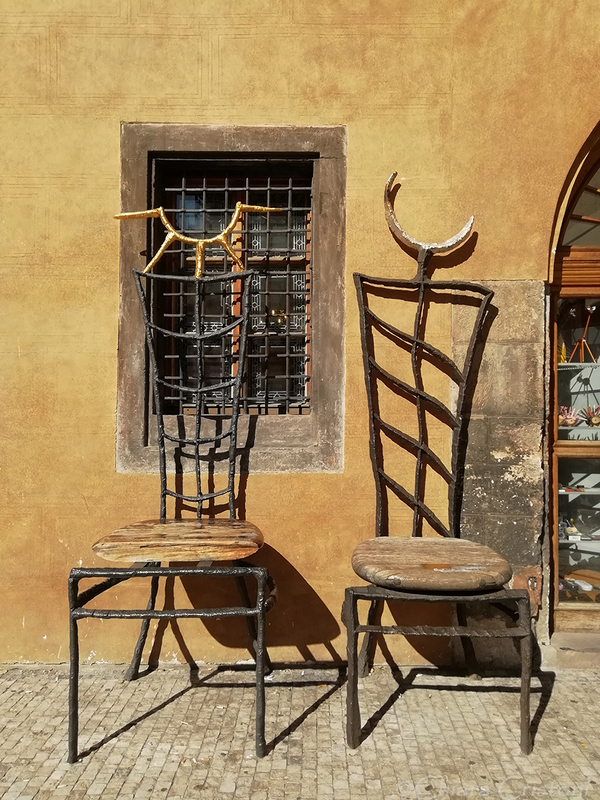 There are many colourful houses, small courtyards, quirky shops, arts stores, interesting sights everywhere. 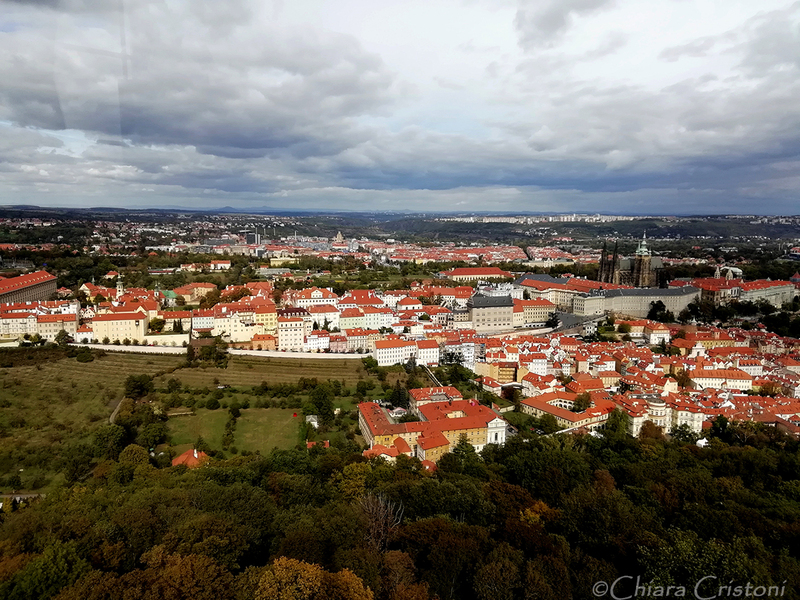 Just north of the Old Town, across the river, lies Letná park. 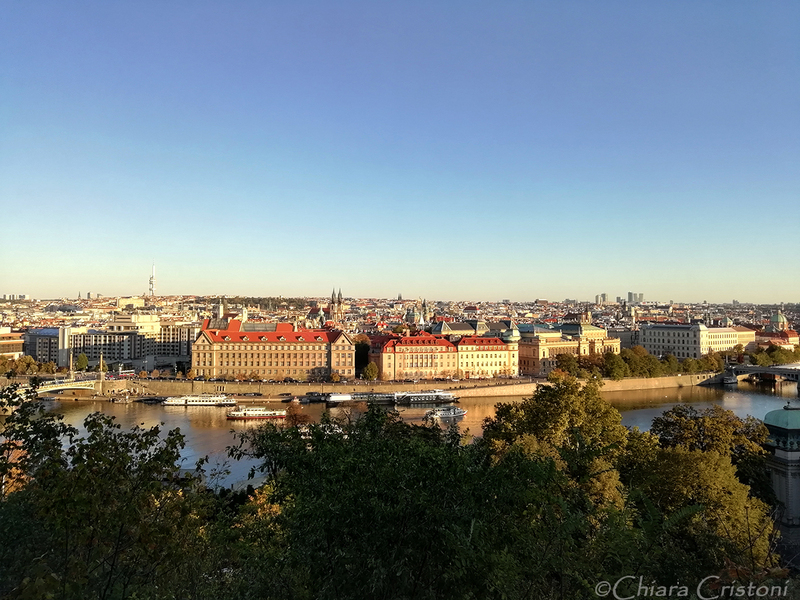 This large urban park on the hill is a great place for postcard views over Prague, especially at sunset. 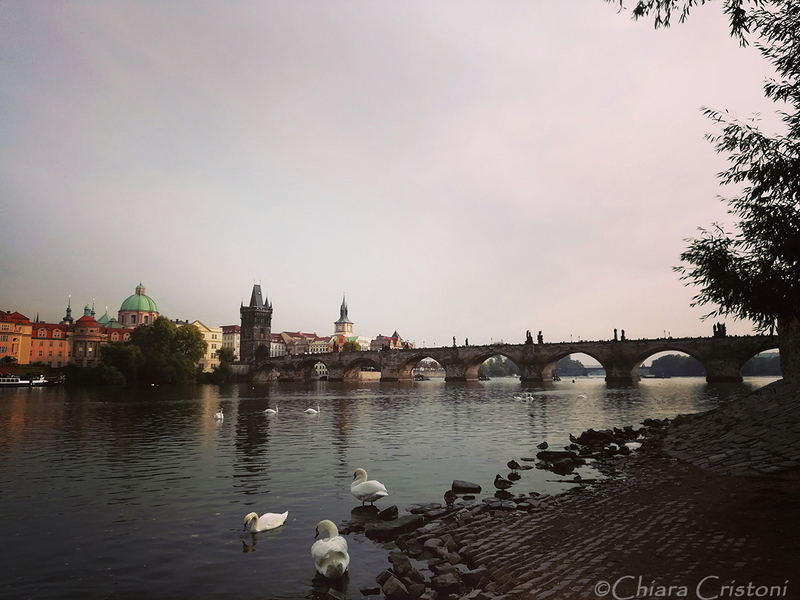 Come here to relax and enjoy the panorama at the end of your sightseeing day! 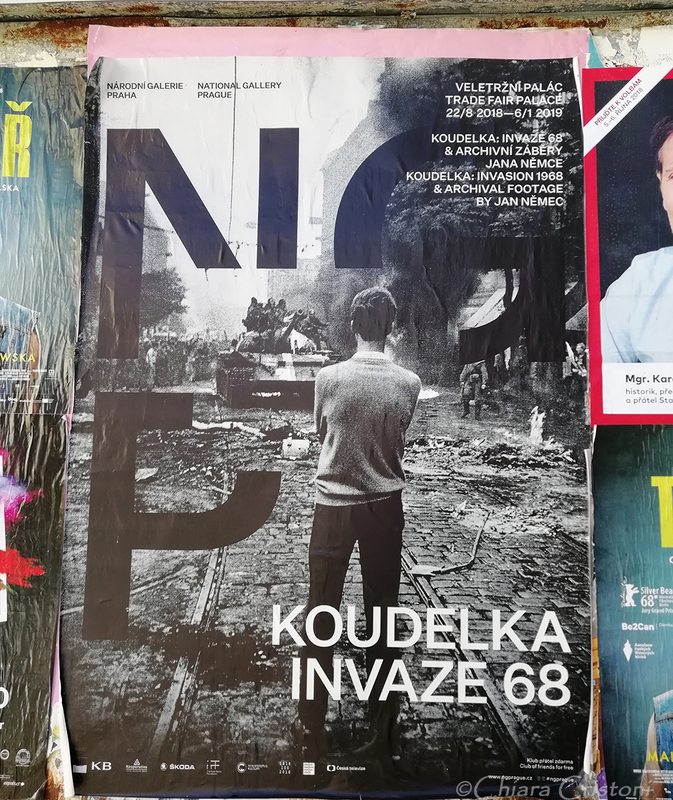 In my school years, Czechoslovakia was one single country. 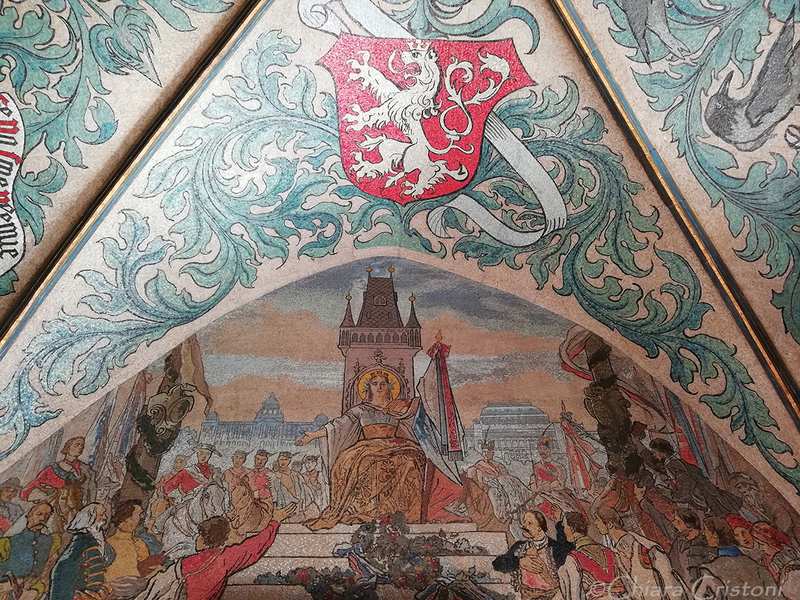 Back in those days, the geography of Eastern Europe was quite different from what it is now, and mass tourism was largely unknown. 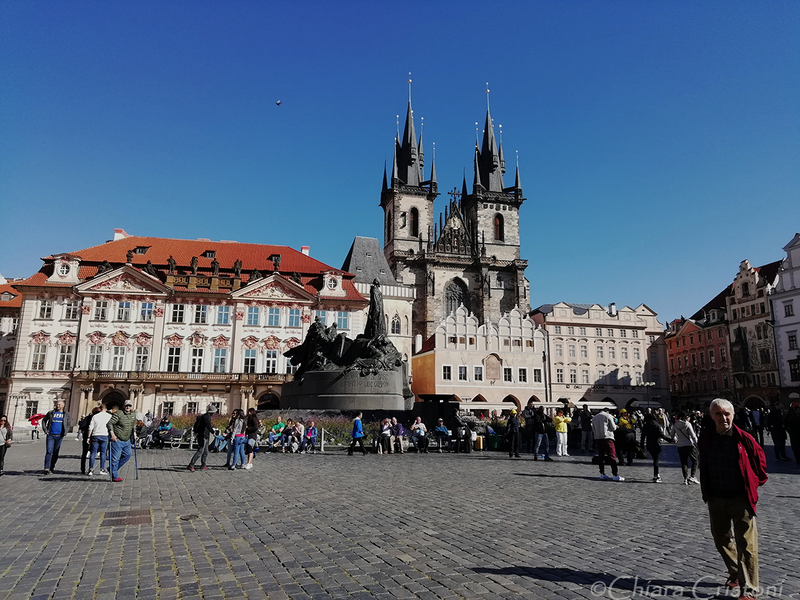 Fast forward 2-3 decades and the young countries of Czech Republic and Slovakia – born in 1993 from the peaceful dissolution of Czechoslovakia – are now popular destinations for tourists of all ages. 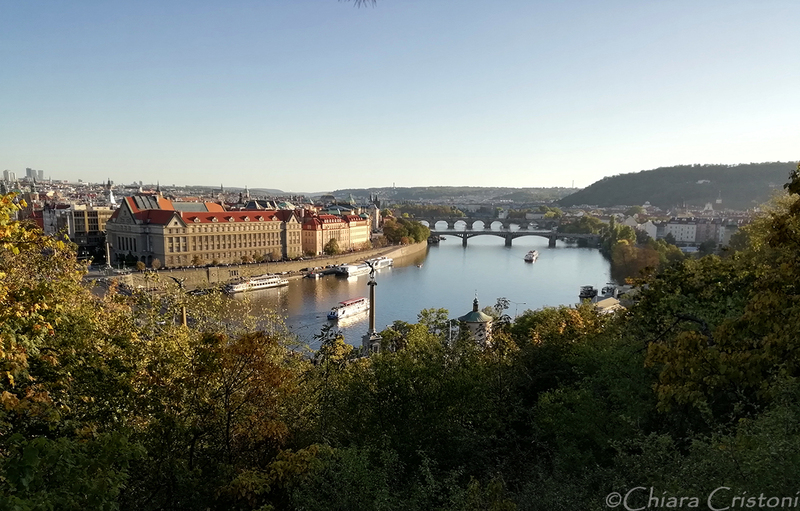 With Prague, the Czech capital, one of the most visited capital cities in Europe. 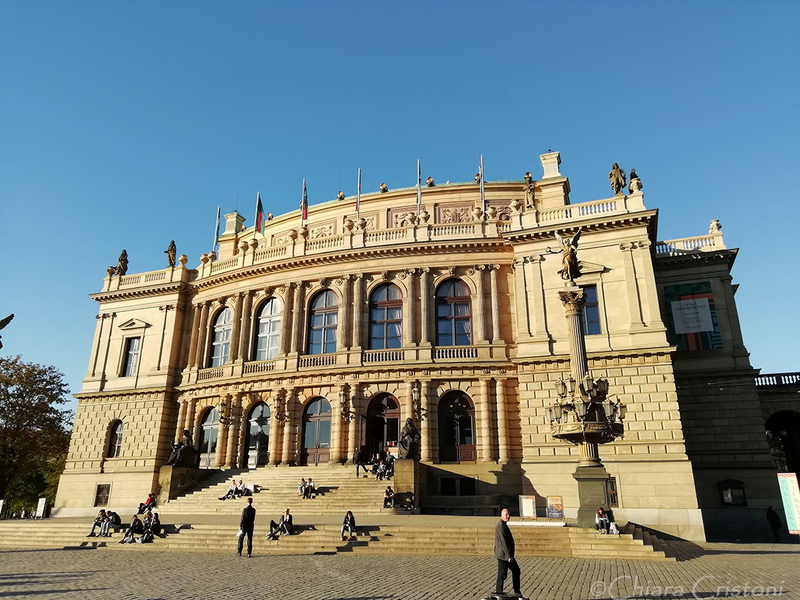 So why was Prague still missing from my travel CV? 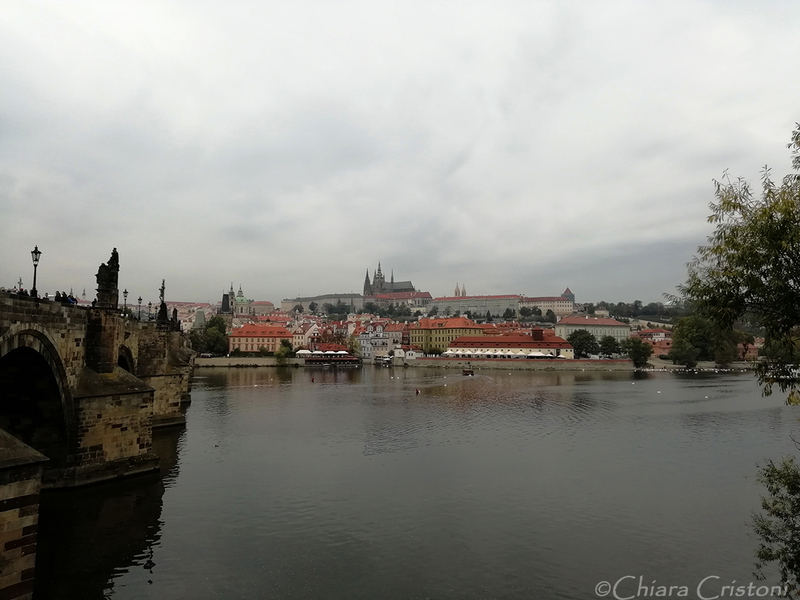 “You have travelled so much, and you haven’t been to Prague? !” was the usual surprised comment from my friends. So it was time to do something about it. 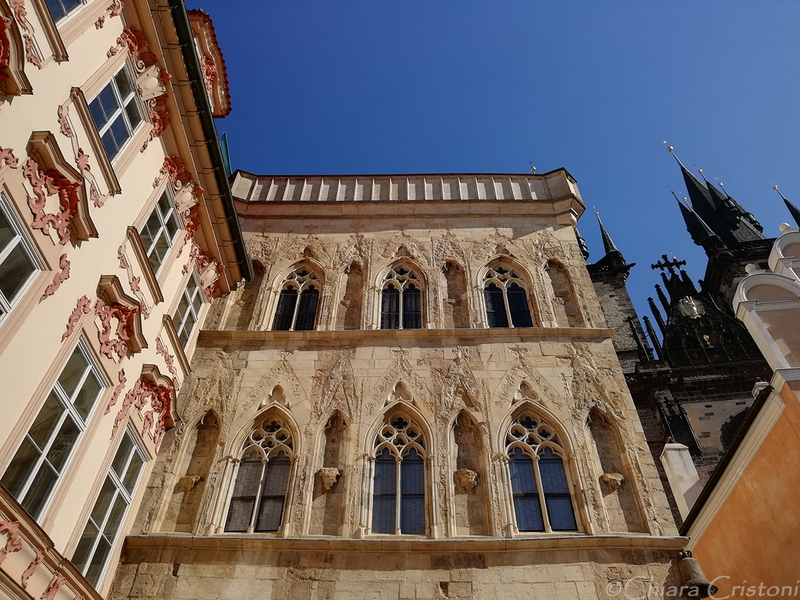 As usual, a bit of a late decision, with flight and accommodation booked just over two weeks before departure and no other planning done…but not much planning was actually required. 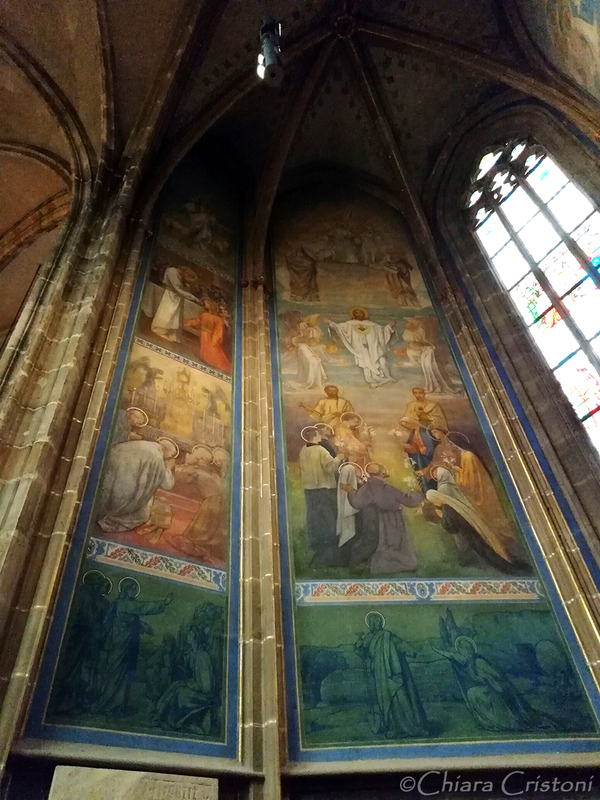 Follow me for more posts and photos of my trip to Prague!